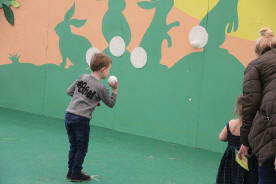 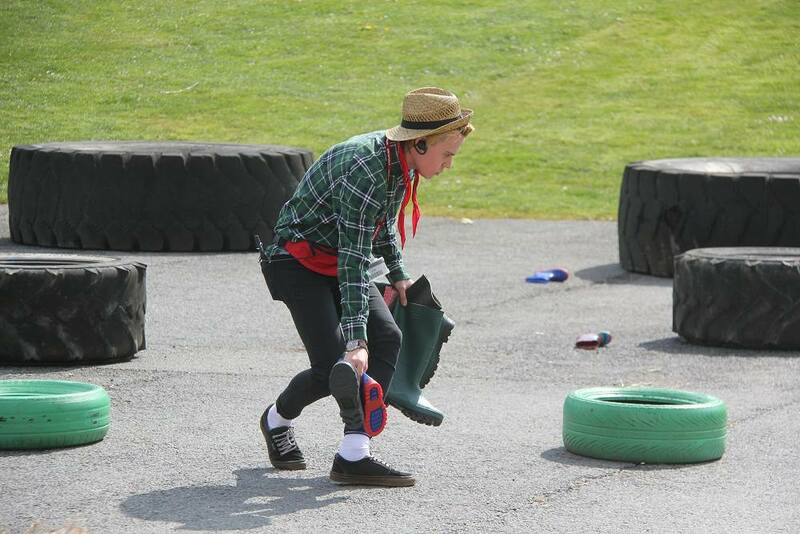 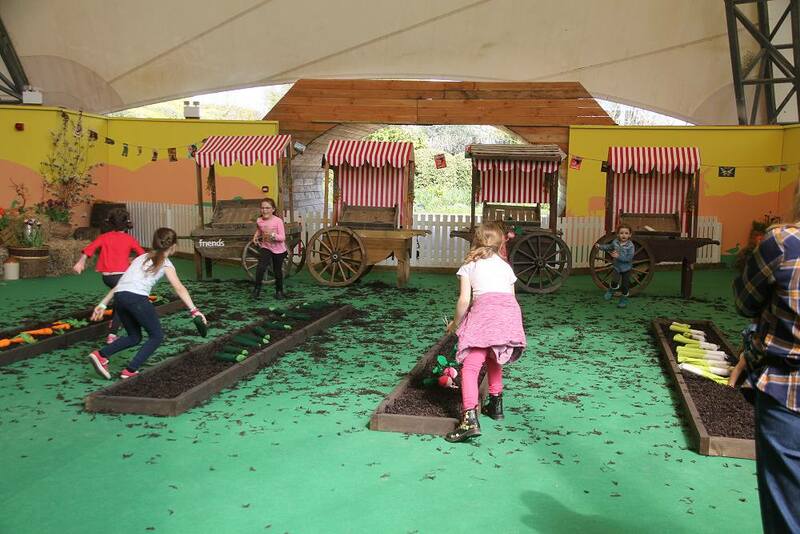 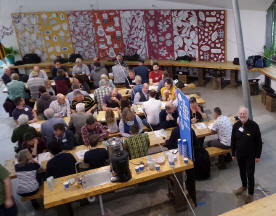 06/04/19 Easter at Eden, Welly Wanging in the Arena. 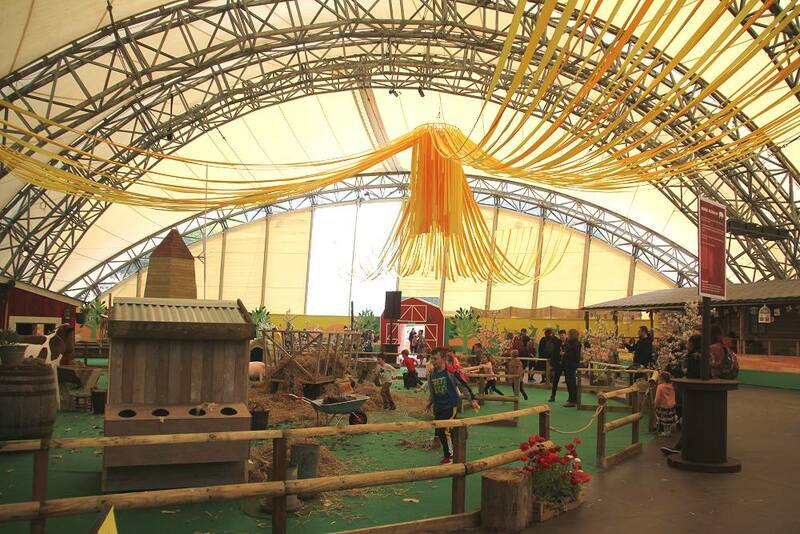 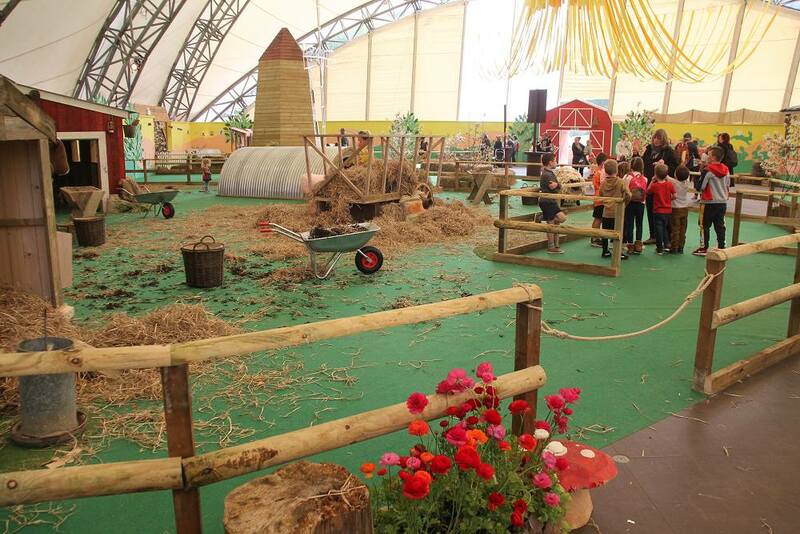 06/04/19 On the stage area there are lots of activities for children. 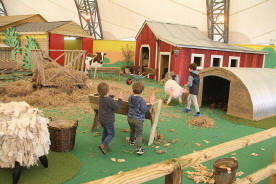 06/04/19 The farmyard looks a lot of fun. 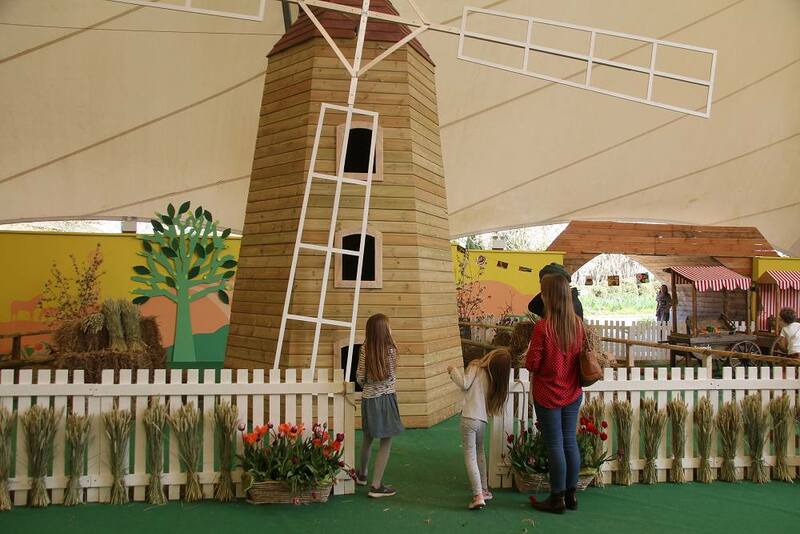 06/04/19 Get the corn into the windmill's doorways. Cottontail Throw. 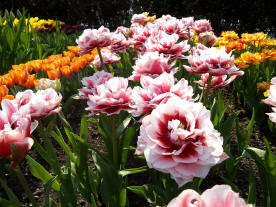 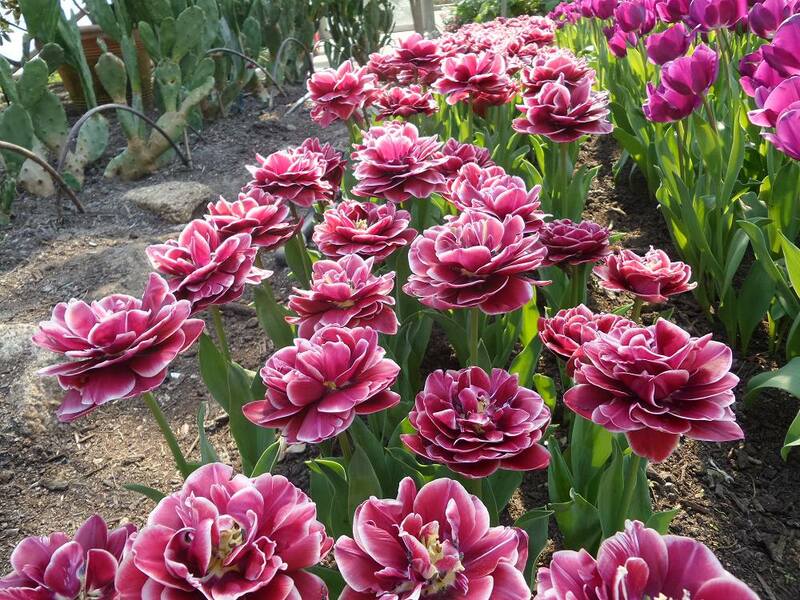 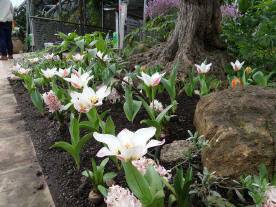 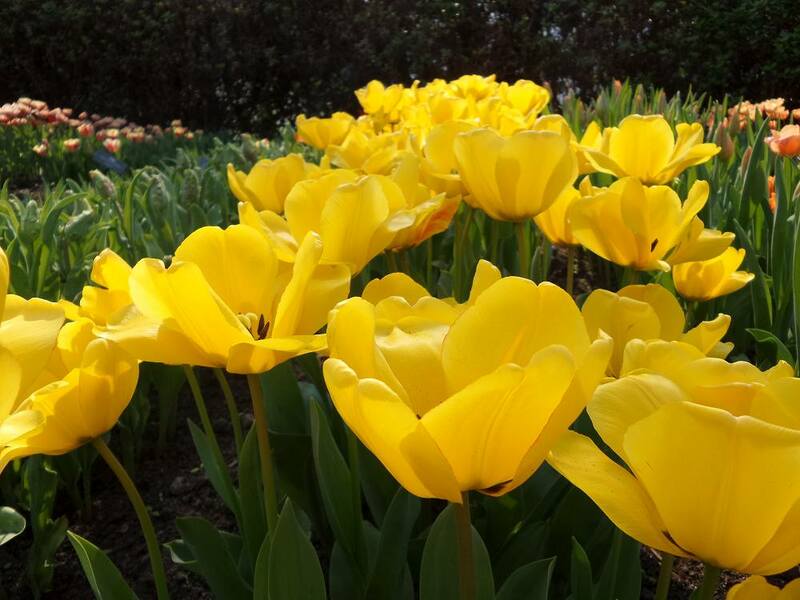 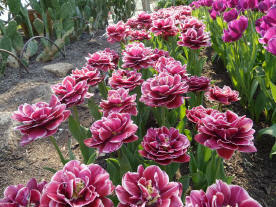 06/04/19 Tulip lined walls by the restaurant and even more further into the Med Biome. 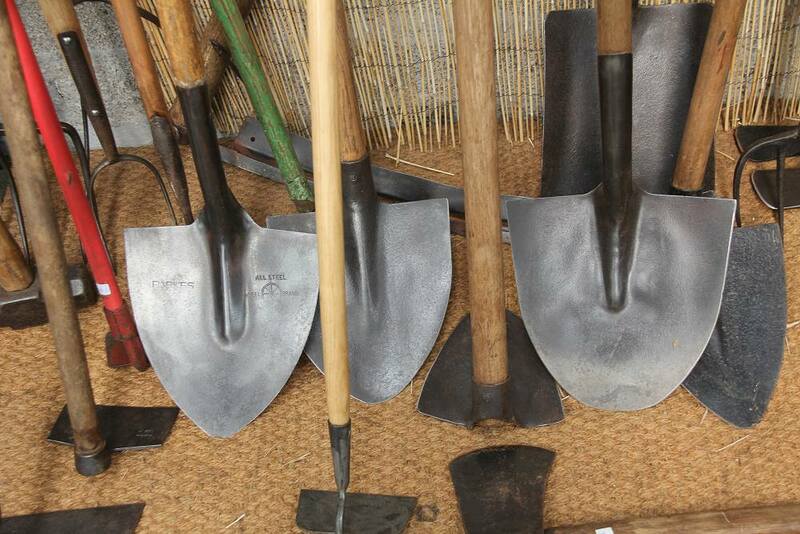 06/04/19 Bright shiny Cornish Shovels. 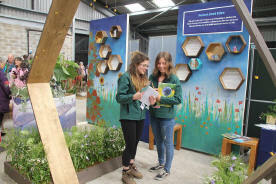 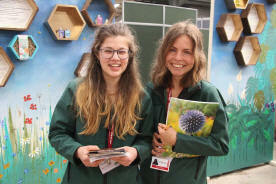 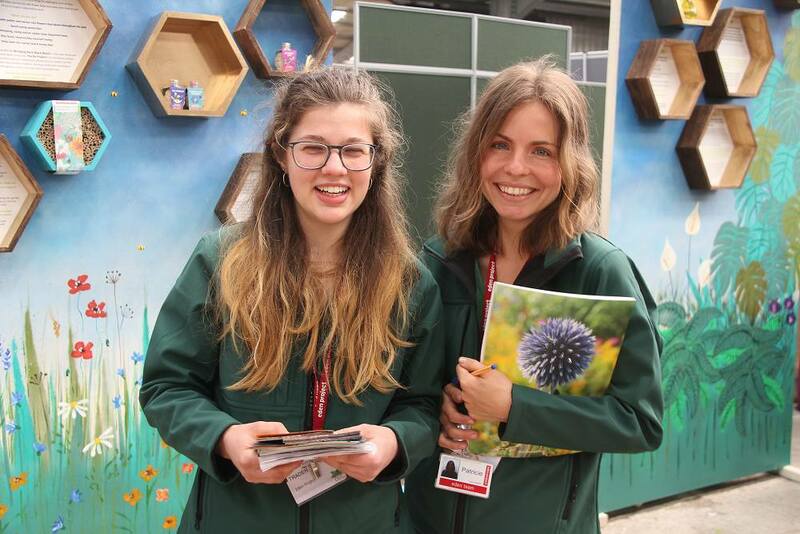 Heligan was well represented at the show. 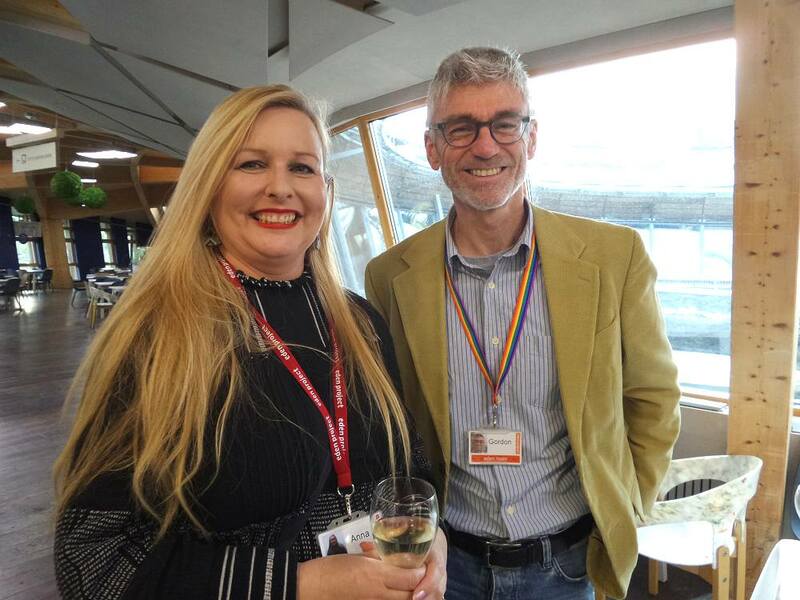 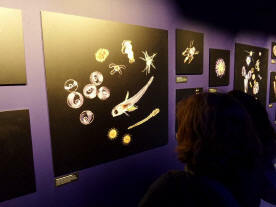 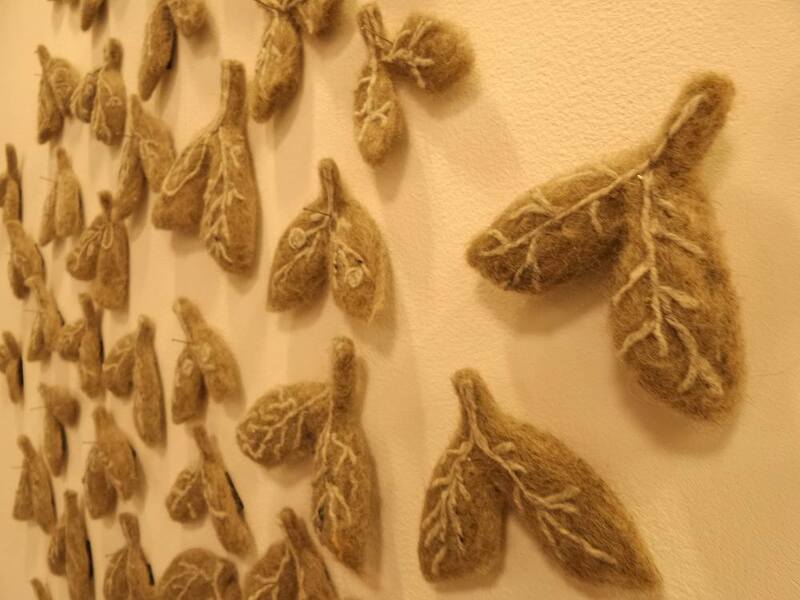 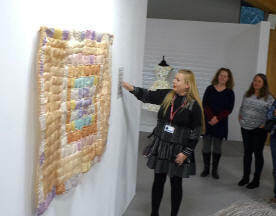 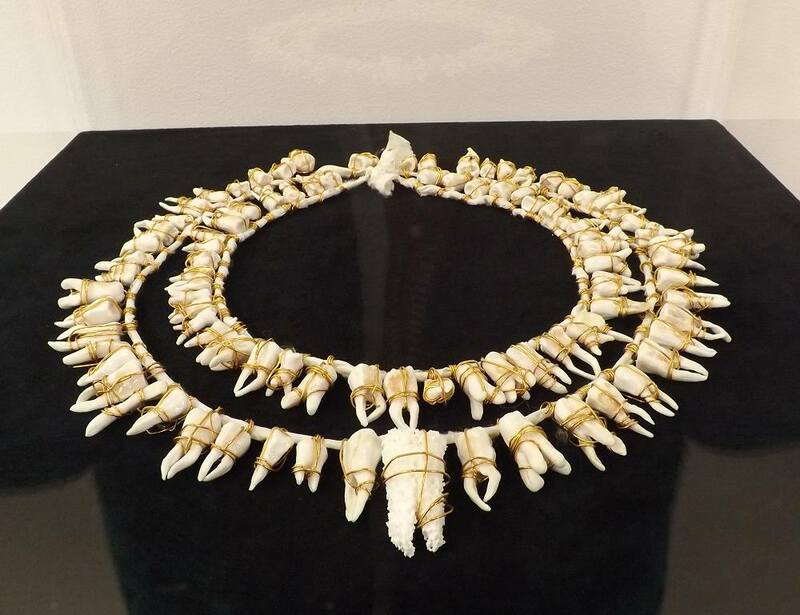 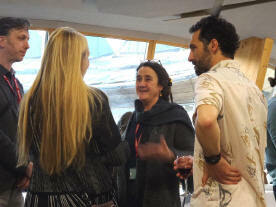 29/03/19 Opening evening of BioArt and Bacteria by Anna Dumitriu the Core. 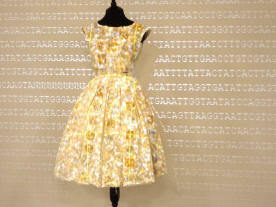 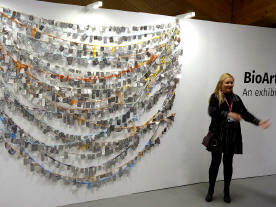 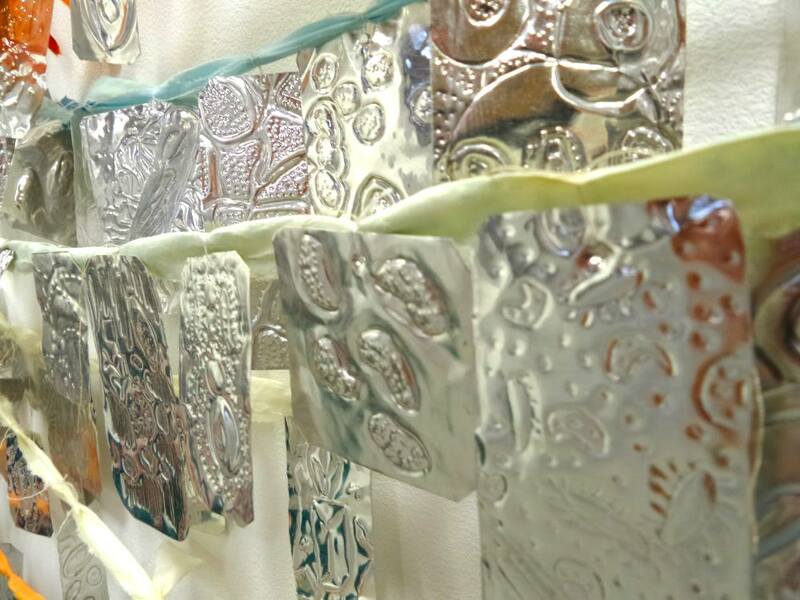 Anna and Alex have been collaborating on an ongoing series of artworks investigating the human microbiome. 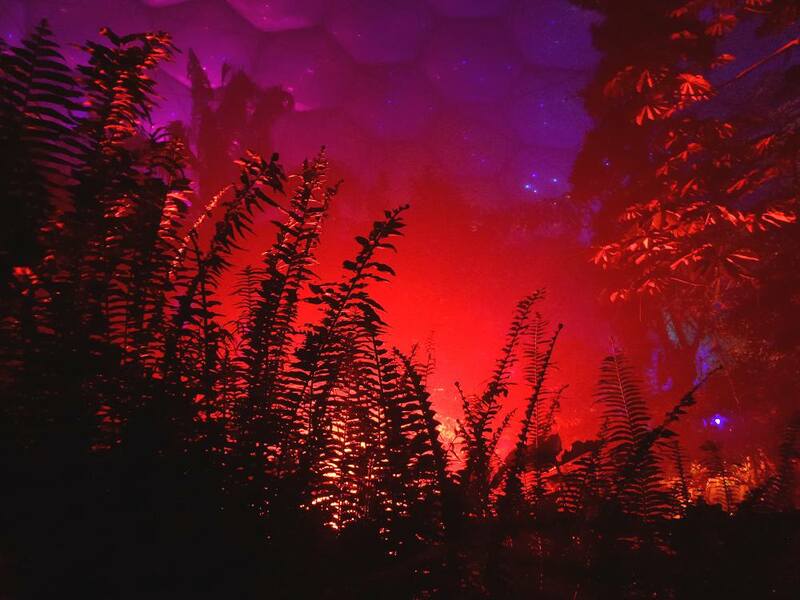 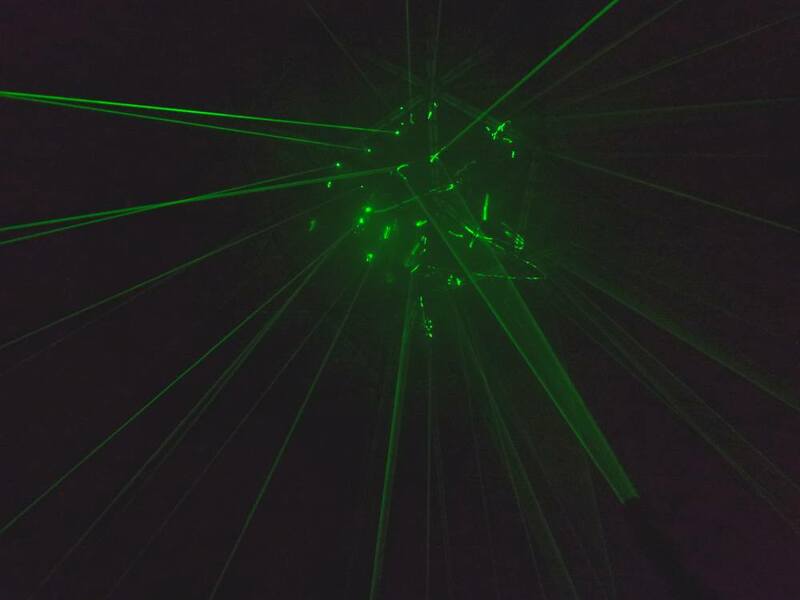 Anna’s work blurs the boundaries between art and science, whilst Alex’s practice explores the boundaries between human perception and digital technologies. As part of the exhibition, they are presenting The Human SuperOrganism, an interactive installation that acts as a virtual petri dish. 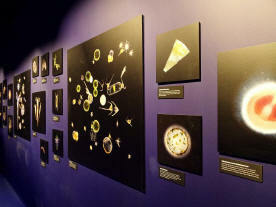 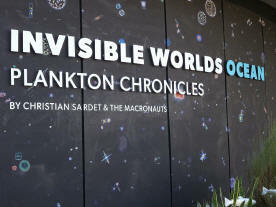 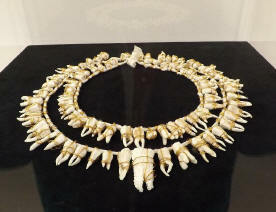 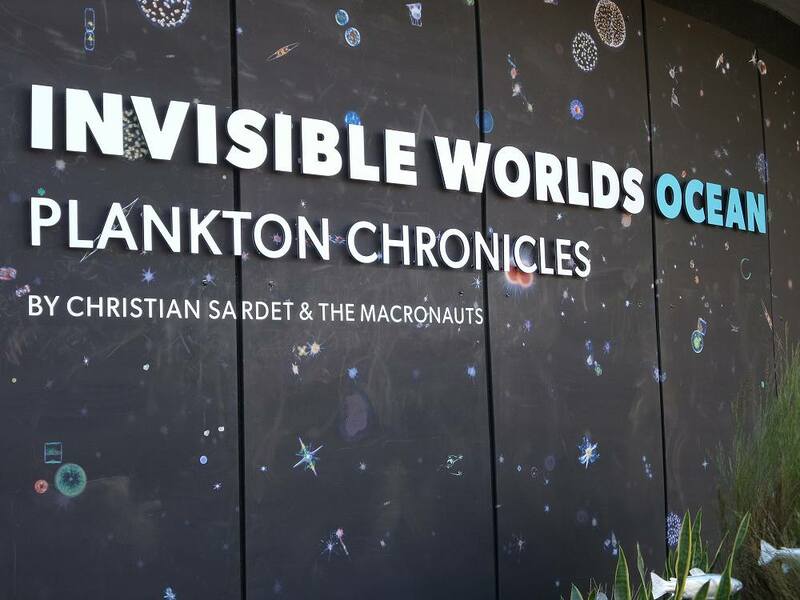 29/03/19 This fascinating exhibition has amazing insights in to the invisible worlds. 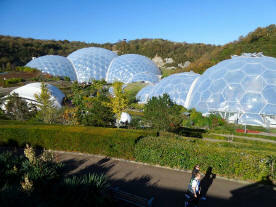 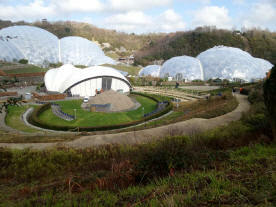 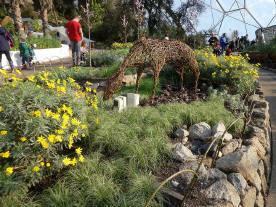 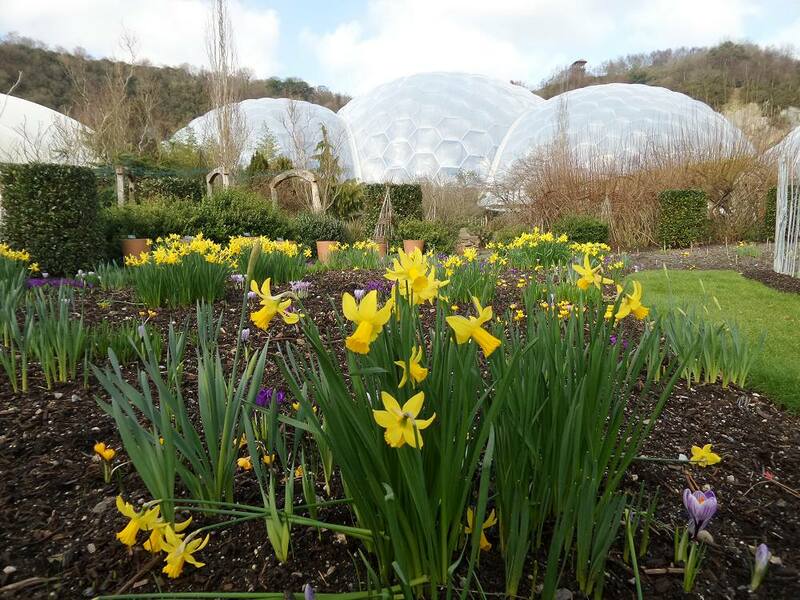 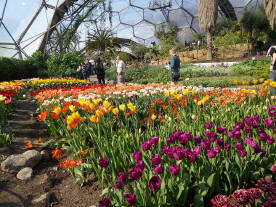 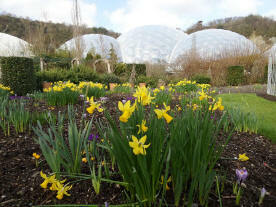 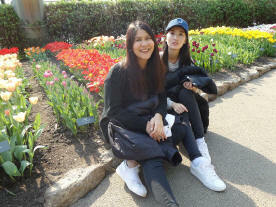 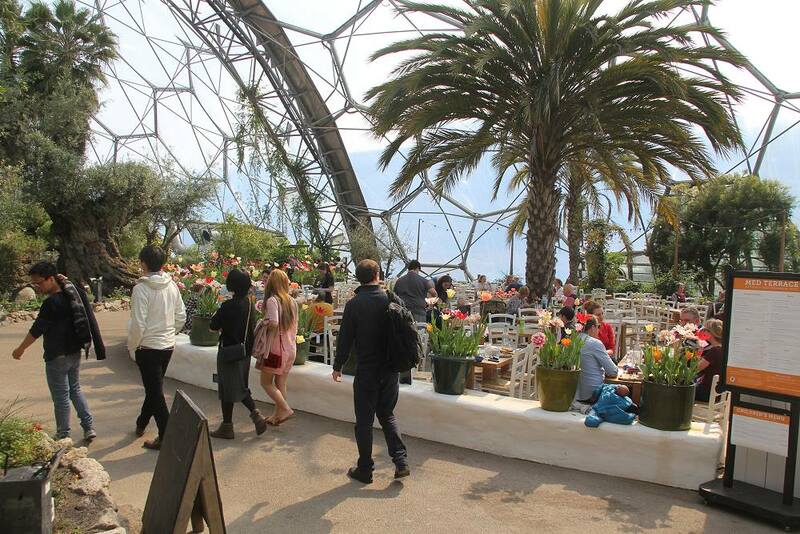 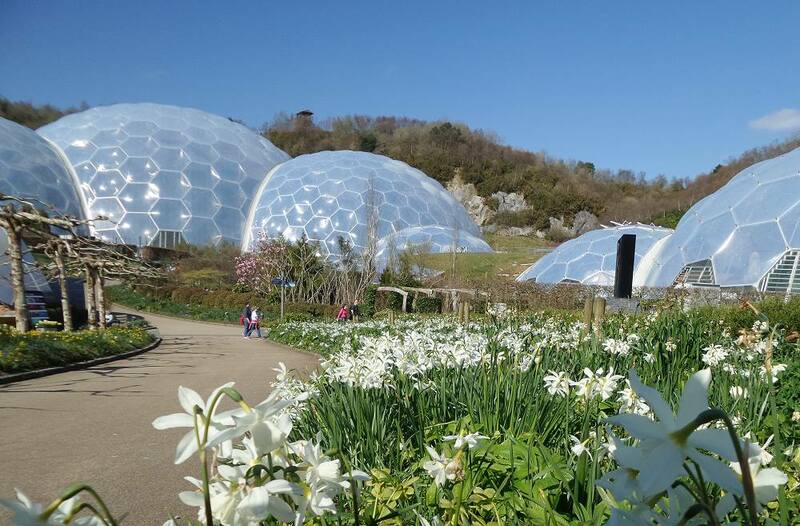 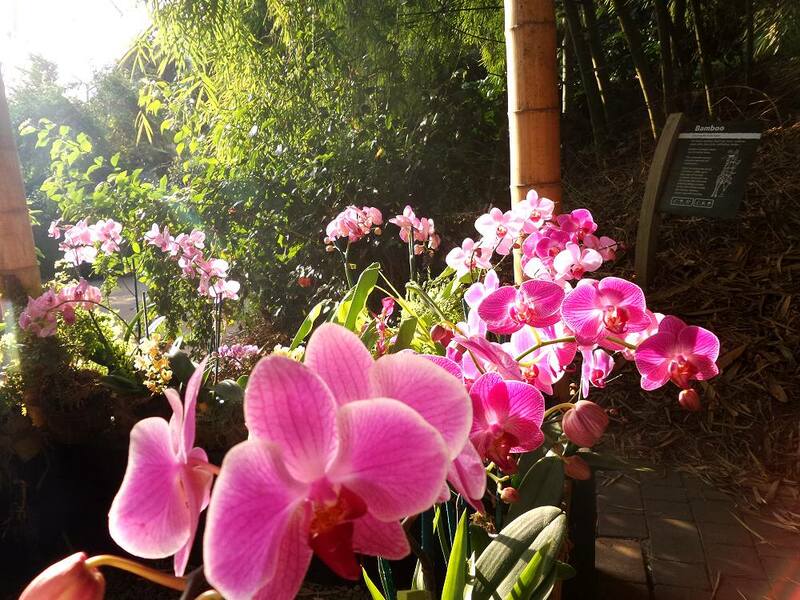 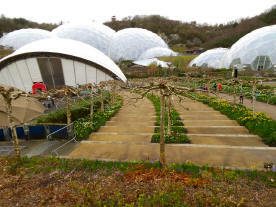 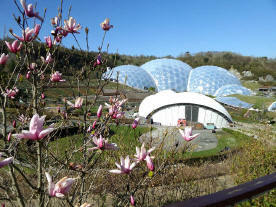 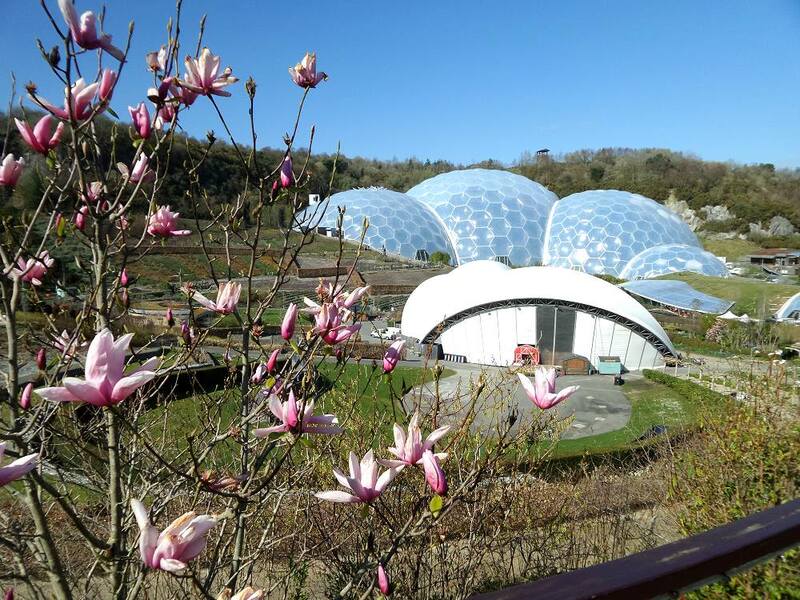 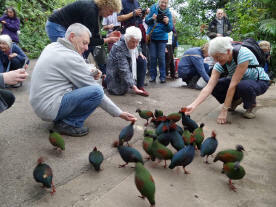 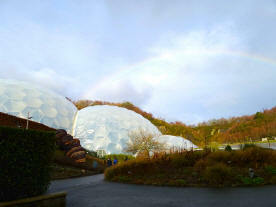 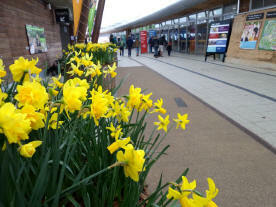 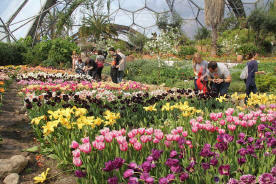 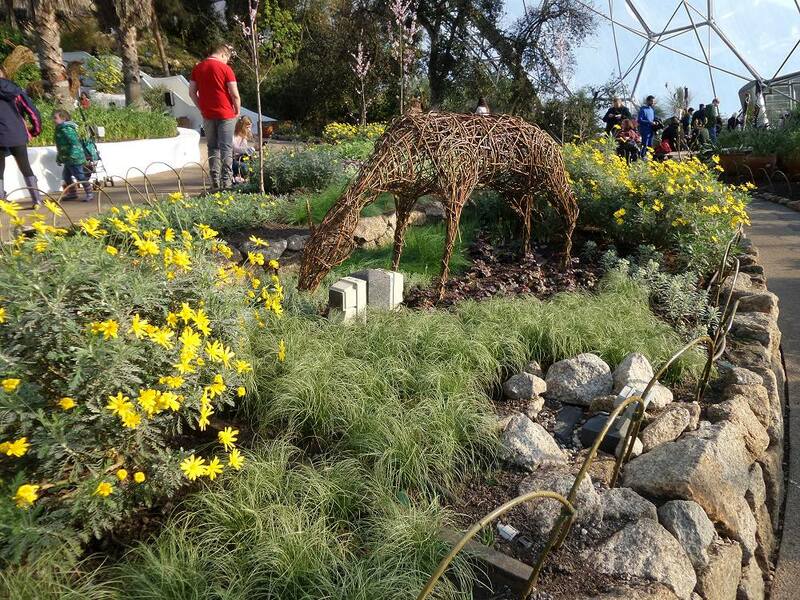 27/03/19 Its Spring weather at Eden, such a good time of year to visit. 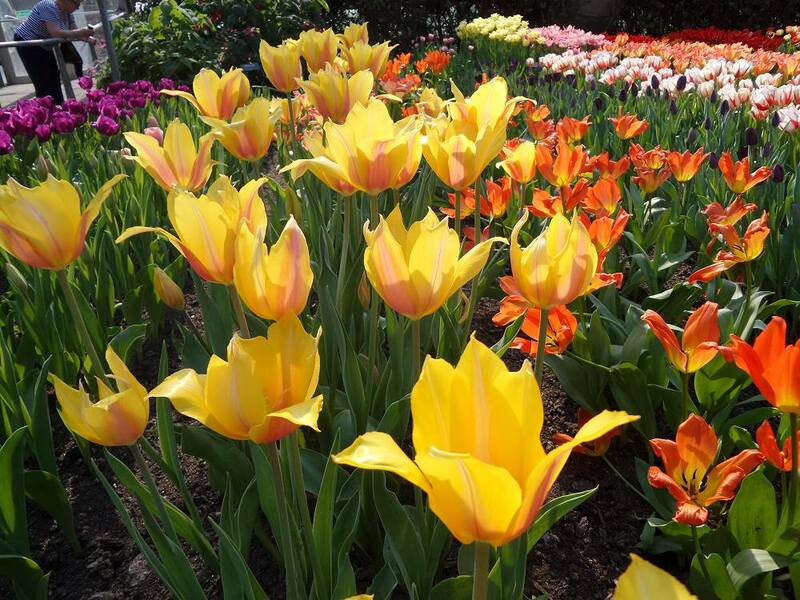 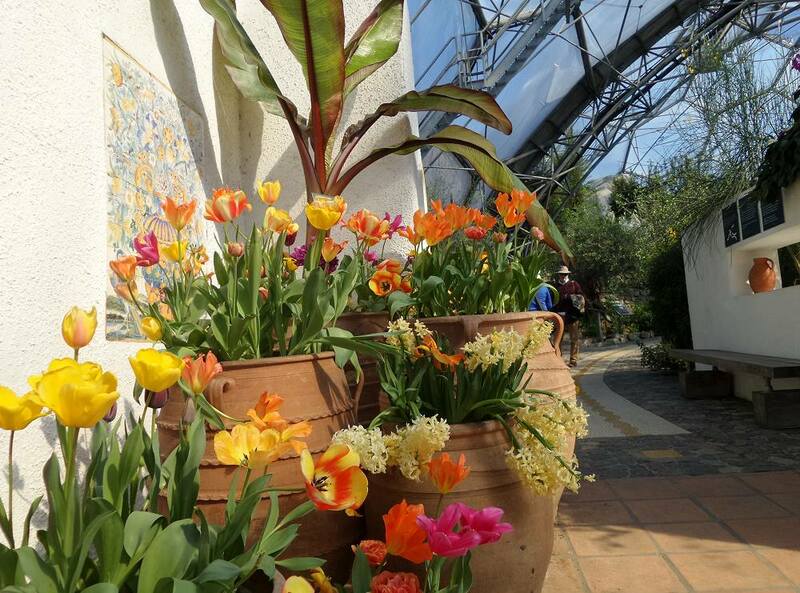 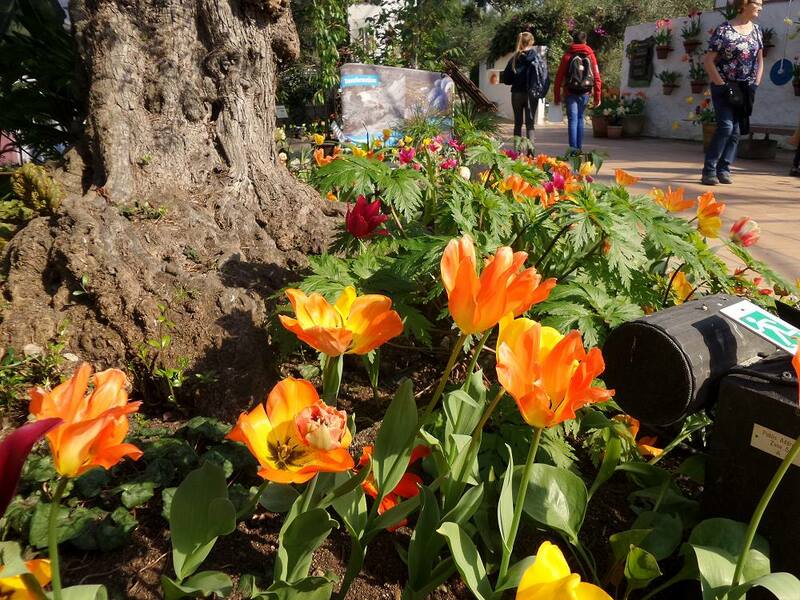 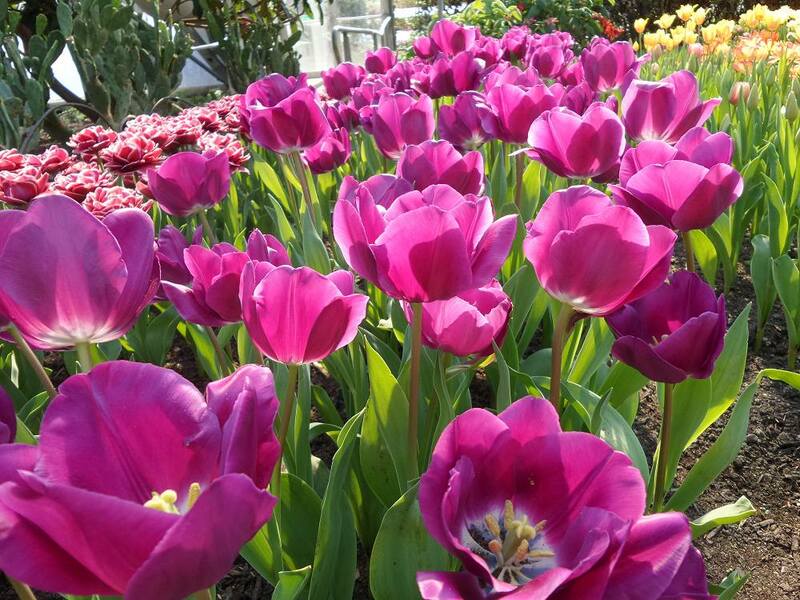 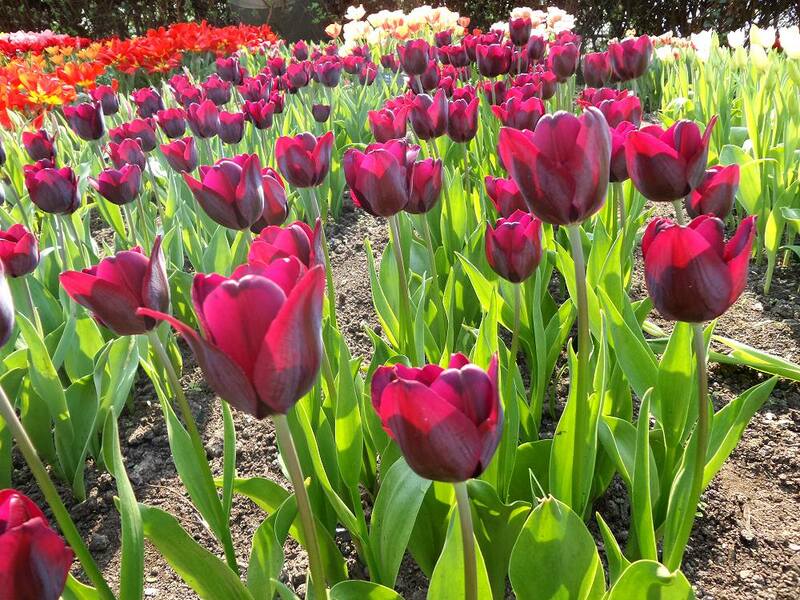 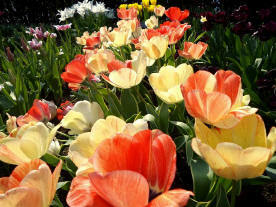 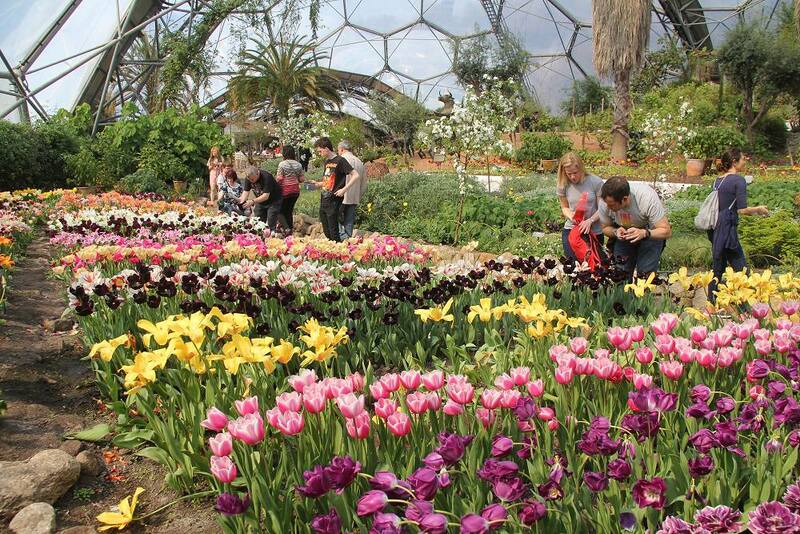 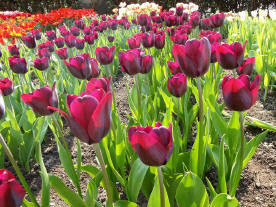 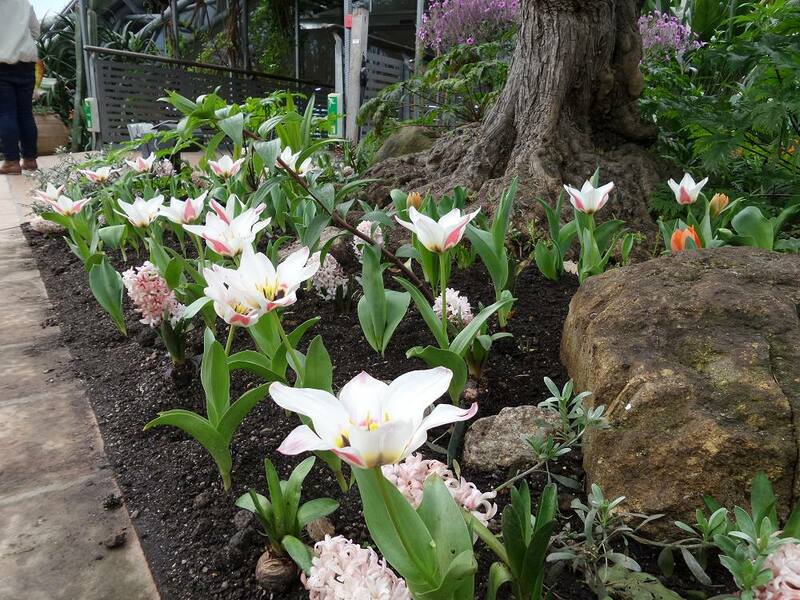 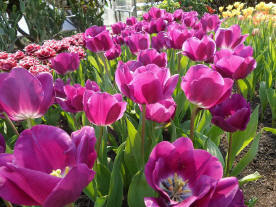 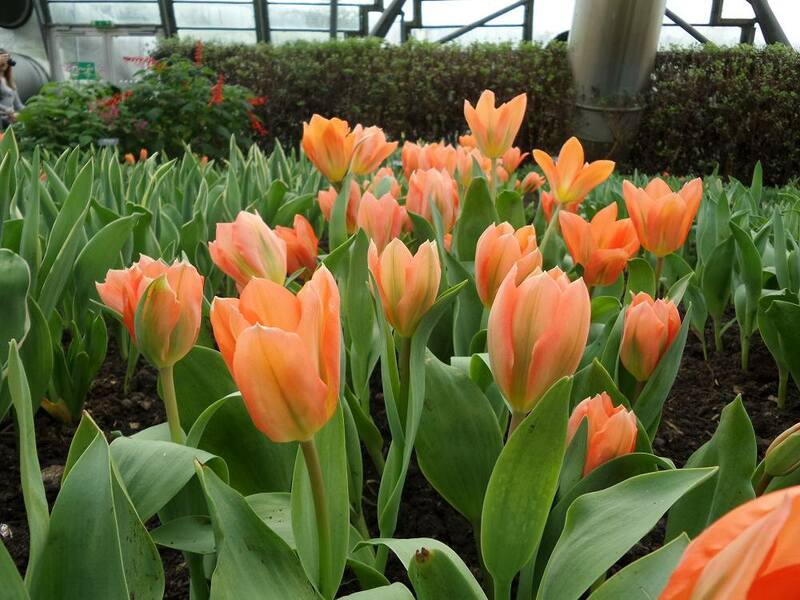 27/03/19 Every visitor is enjoying the tulips in the Med Biome. 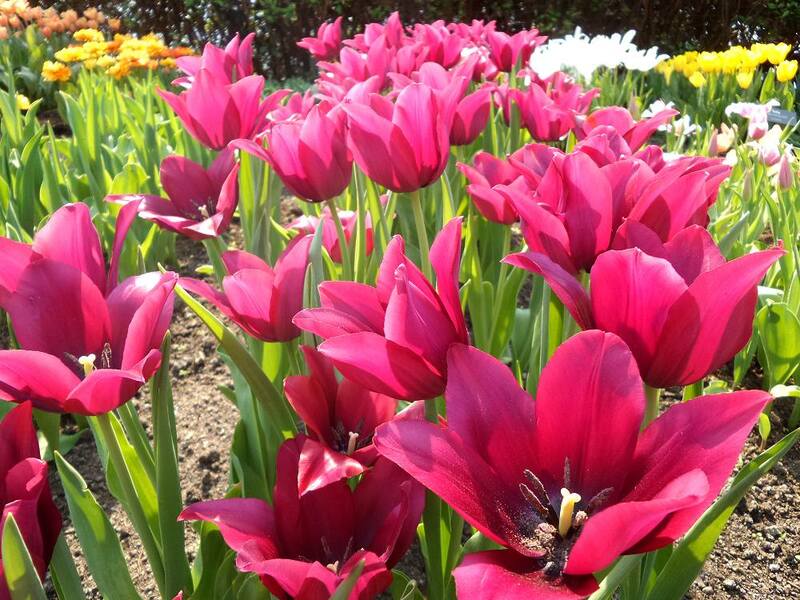 27/03/19 I could not find a name for these ones. 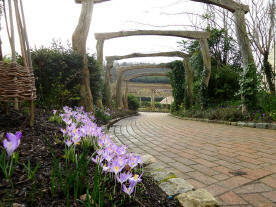 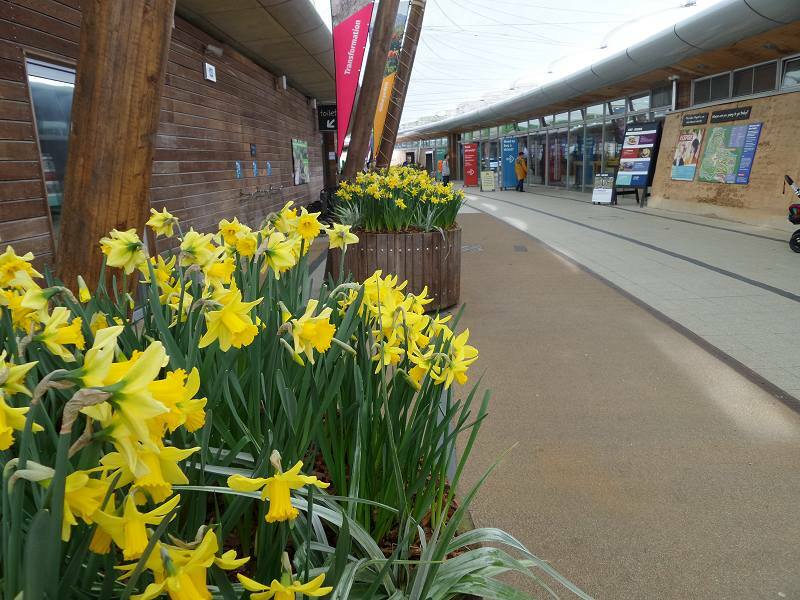 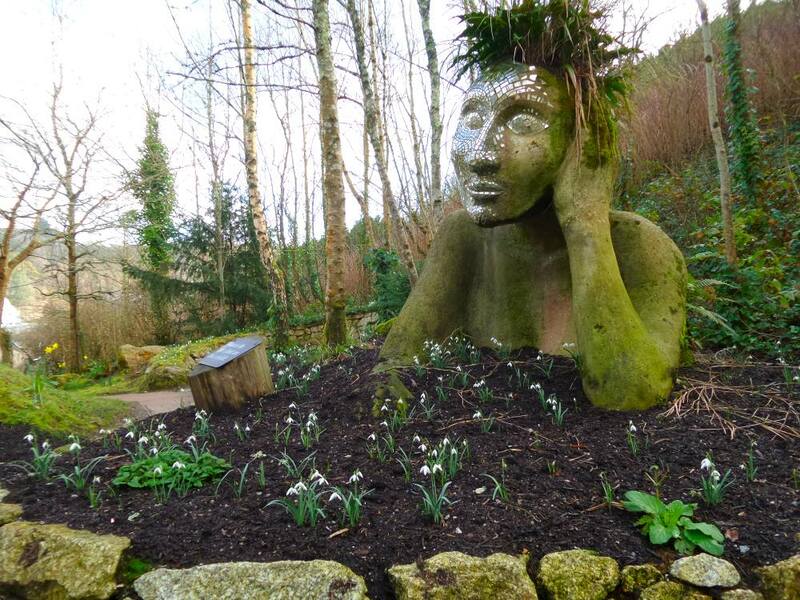 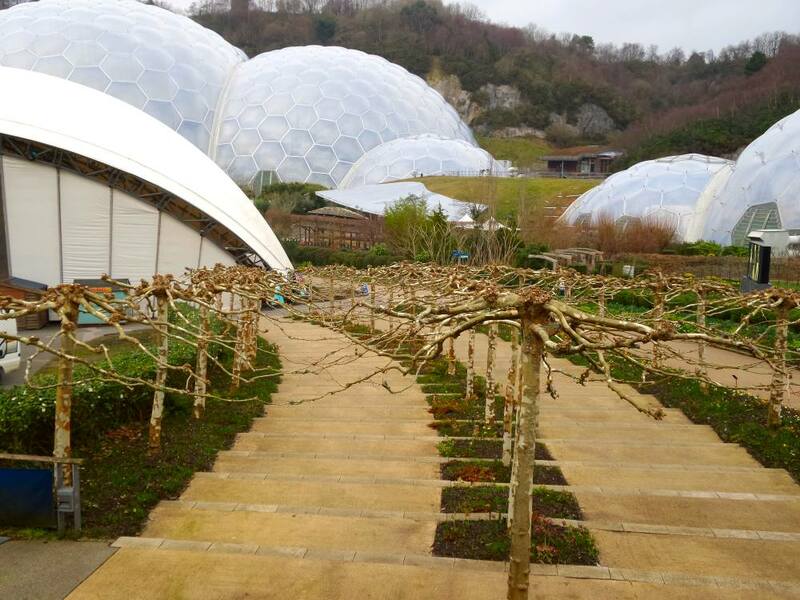 27/03/19 There's a new pathway with a seat behind the Core Building, do go and find it if you visit Eden as it give a stunning view along a small stream. 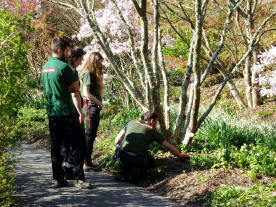 27/03/19 The Green Team checking on the soil on a sunny afternoon. 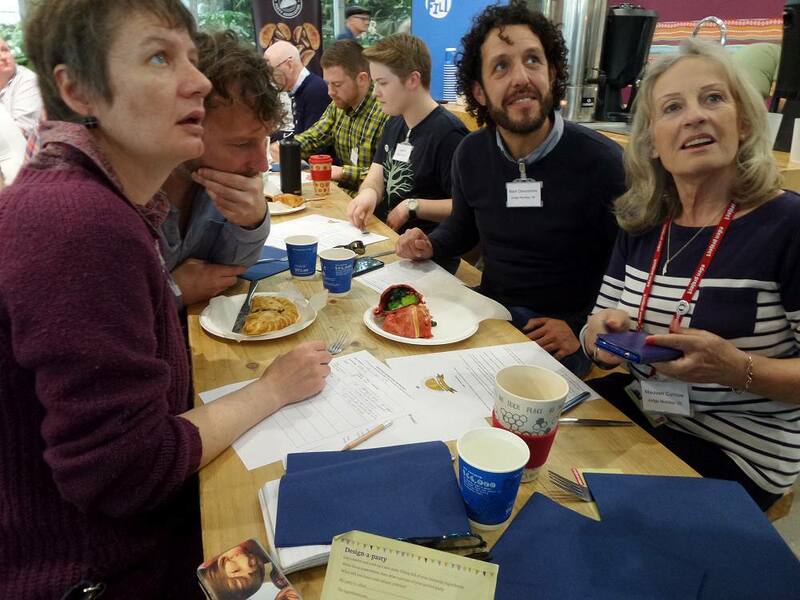 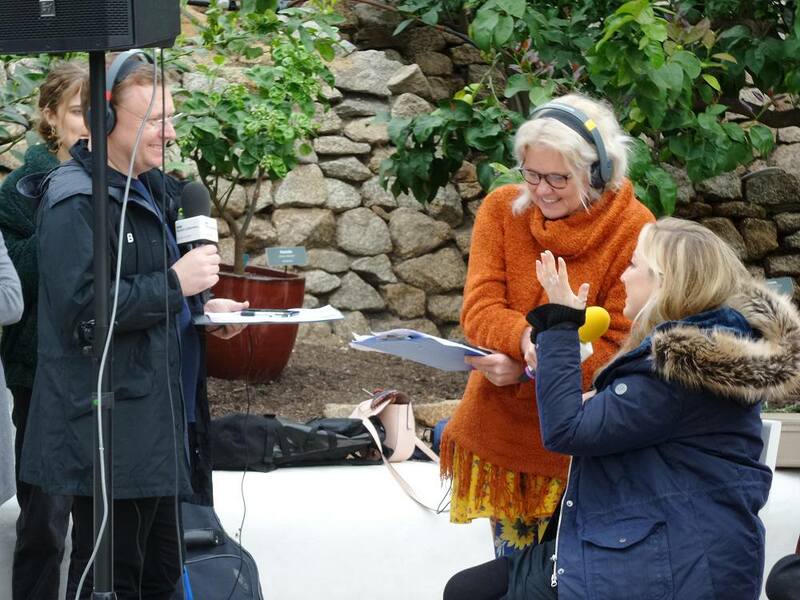 18/03/19 James & Julie asking Carol and myself in a quiz what we know about Eden. 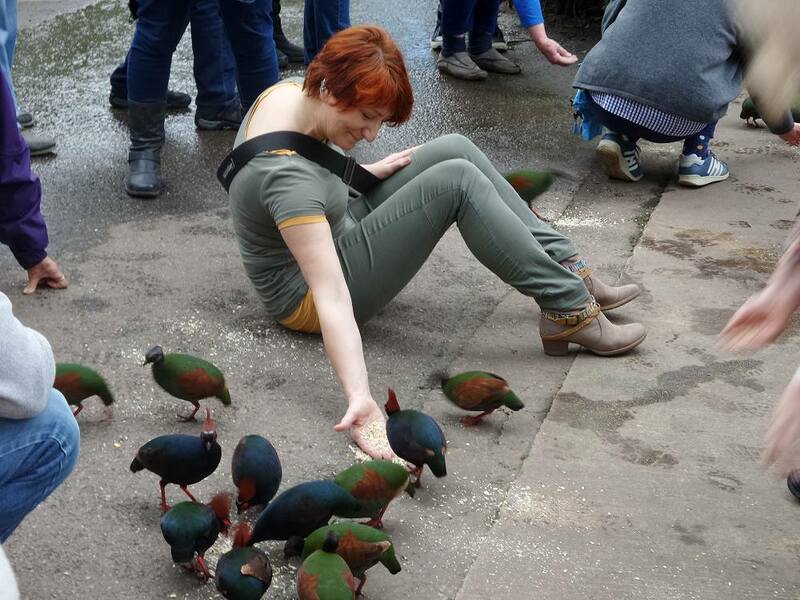 18/03/19 Feeding the Roul Roul birds, as James said they are like mangos on legs. 18/03/19 James hurrying from one location to another. 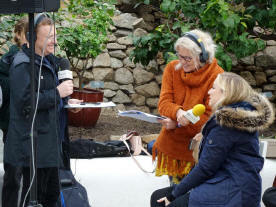 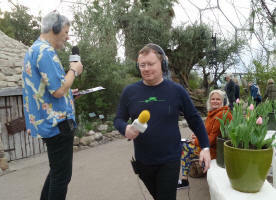 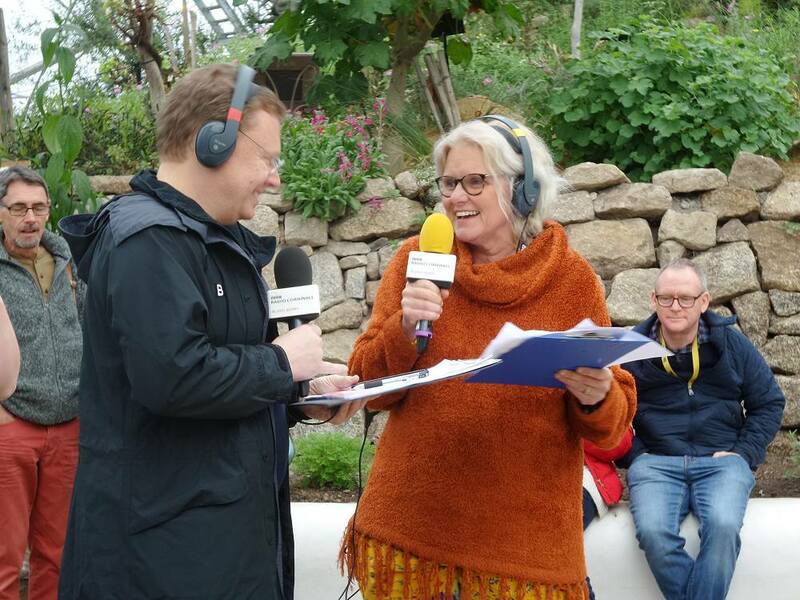 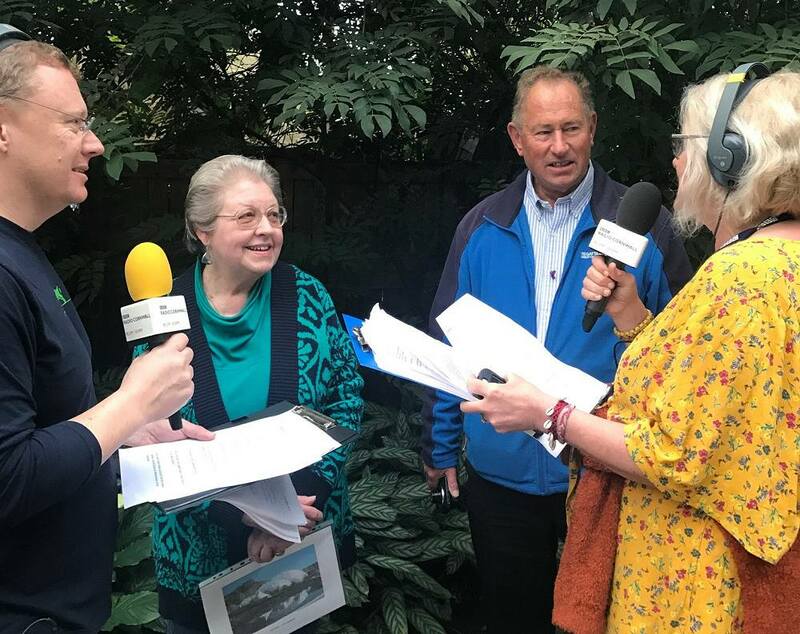 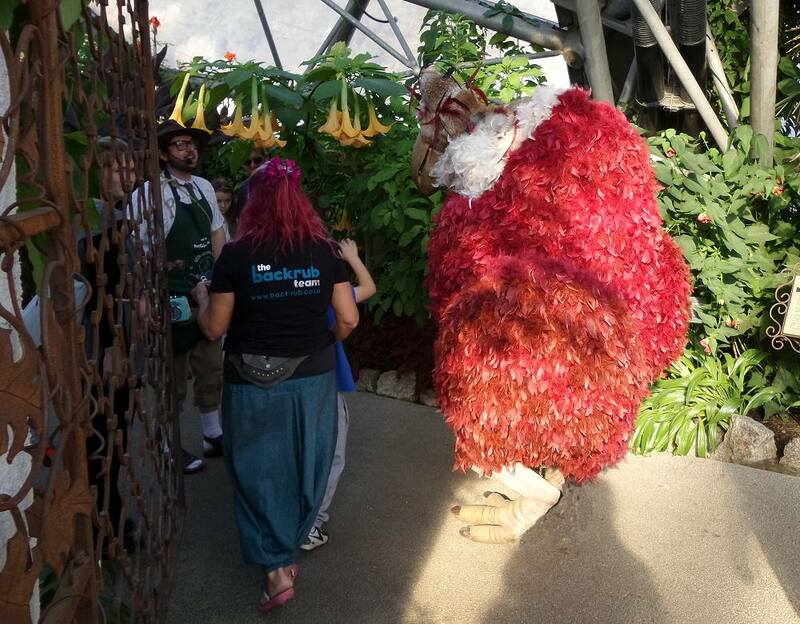 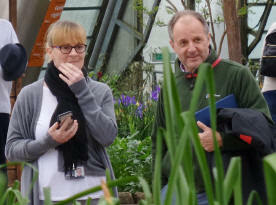 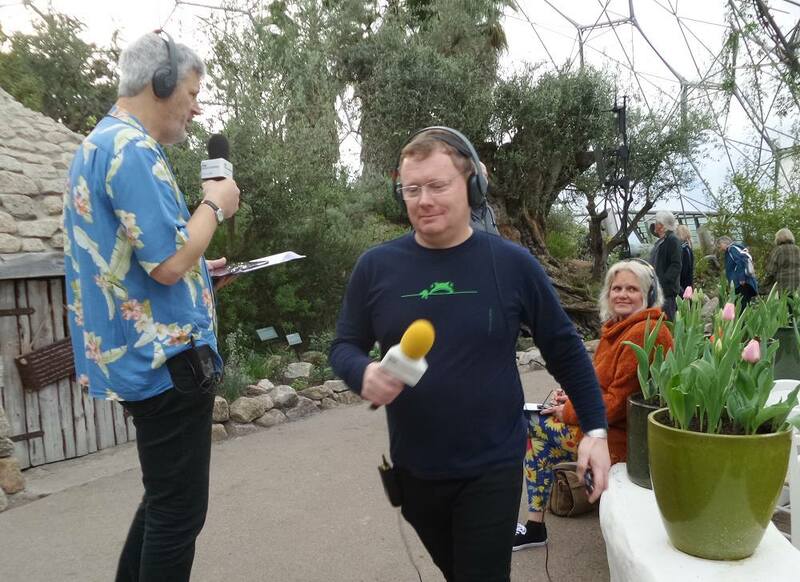 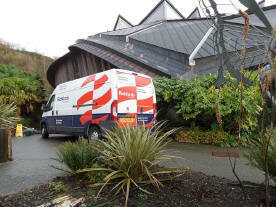 Rosie from Radio Cornwall talking with David behind the greenery. BBC Radio Cornwall's team are slick, friendly & professional. 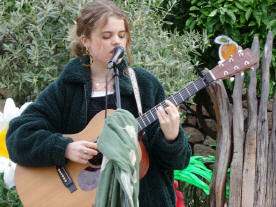 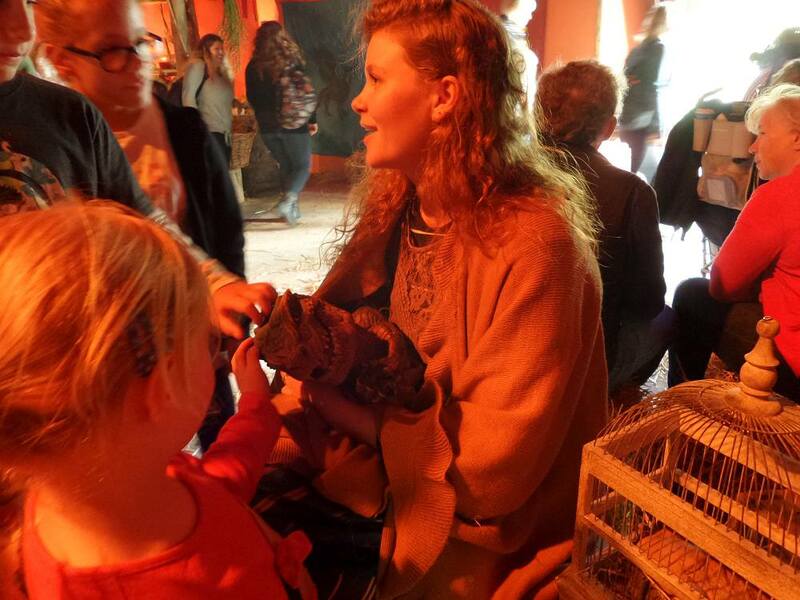 18/03/19 Music for Eden's Birthday came from Suzie Mac followed by Daisy Clark. 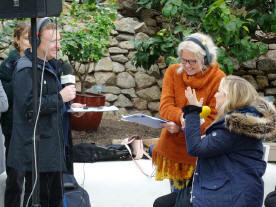 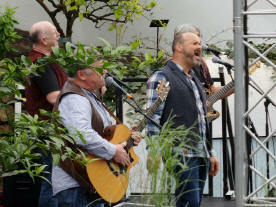 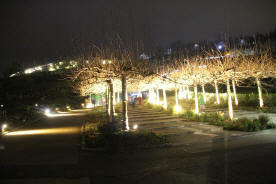 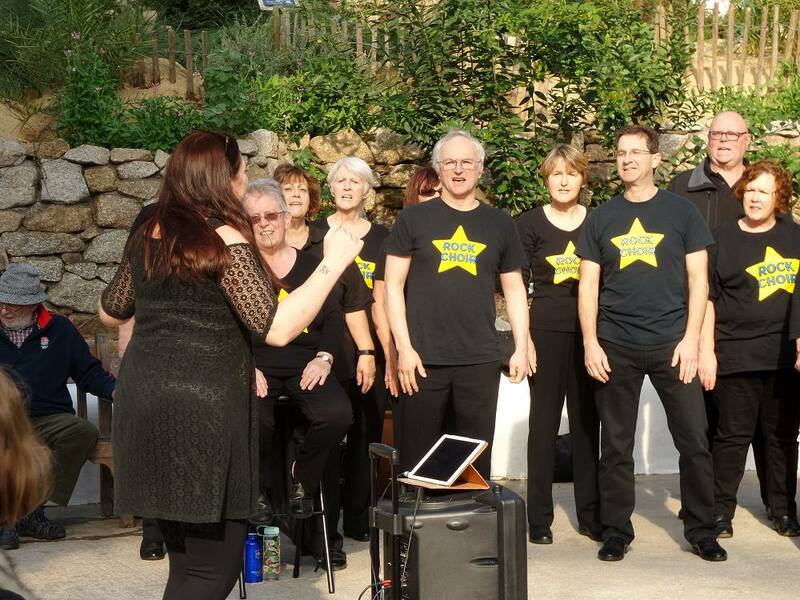 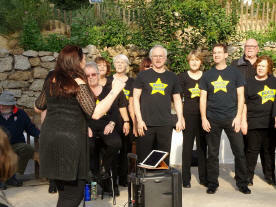 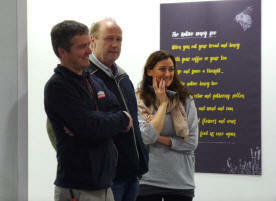 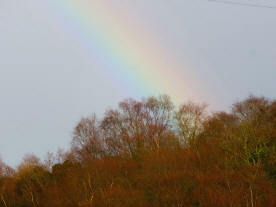 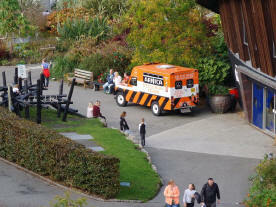 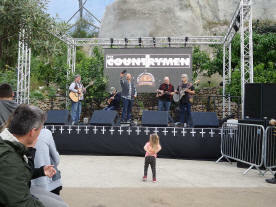 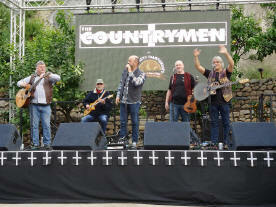 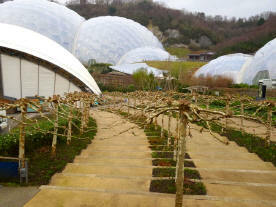 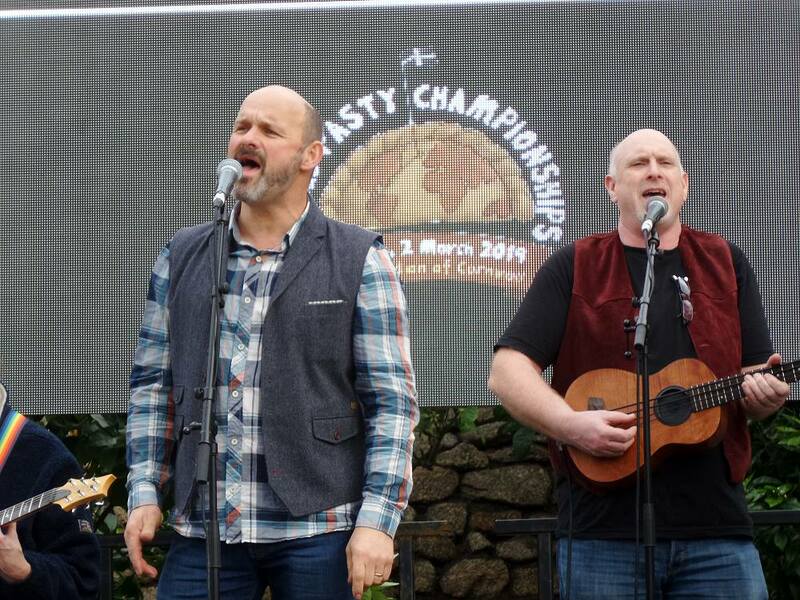 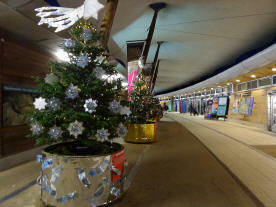 The whole morning shared with guests from Radio Cornwall had a very nice atmosphere. 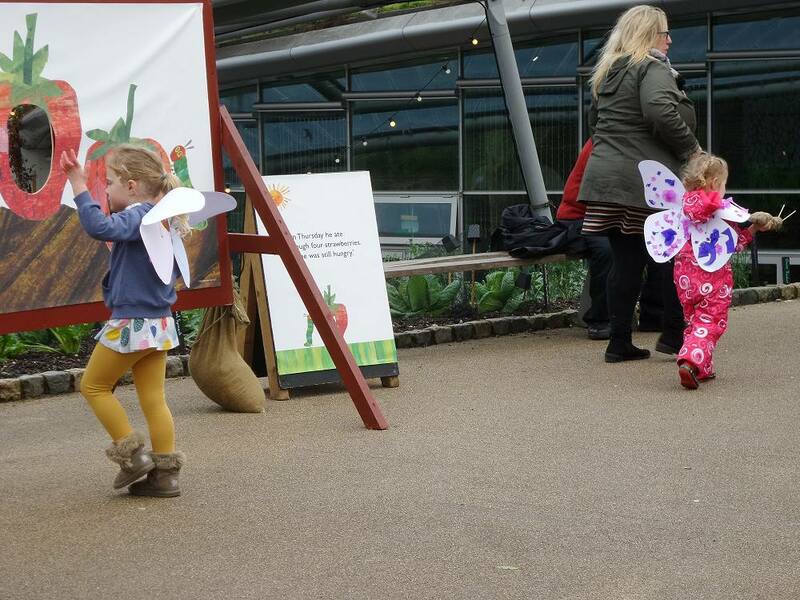 16/03/19 On a fairly dull weather day there's a very hungry caterpillar around Eden. 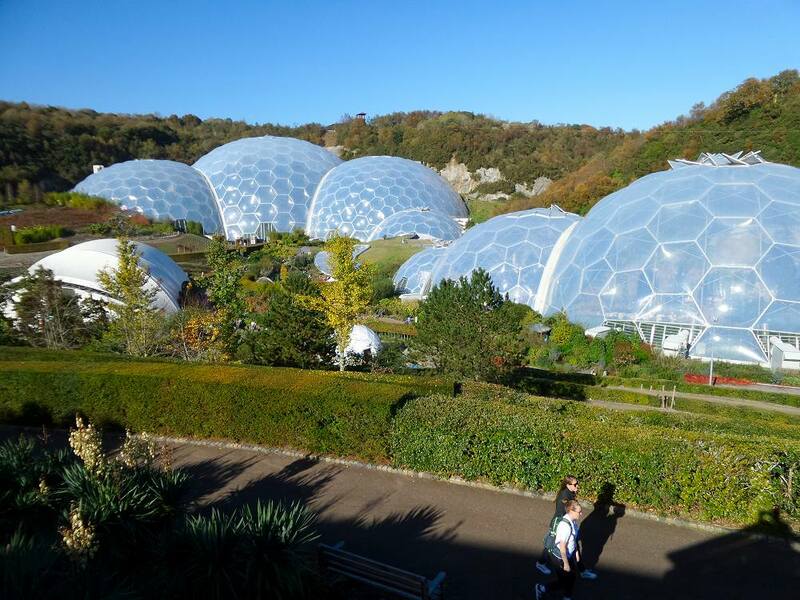 16/03/19 Lots for the little ones to do today at Eden. 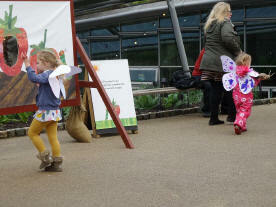 Butterfly wings seem to be a big hit. 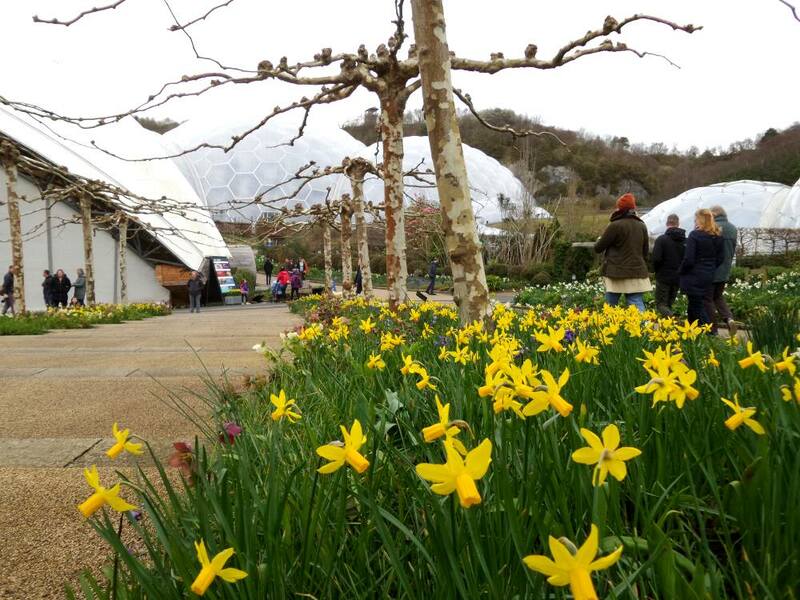 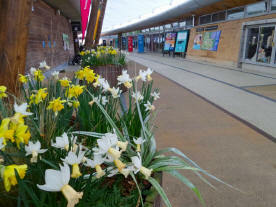 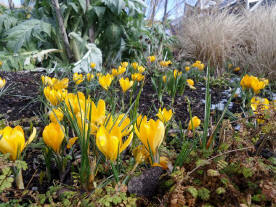 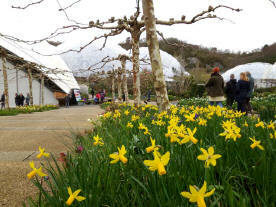 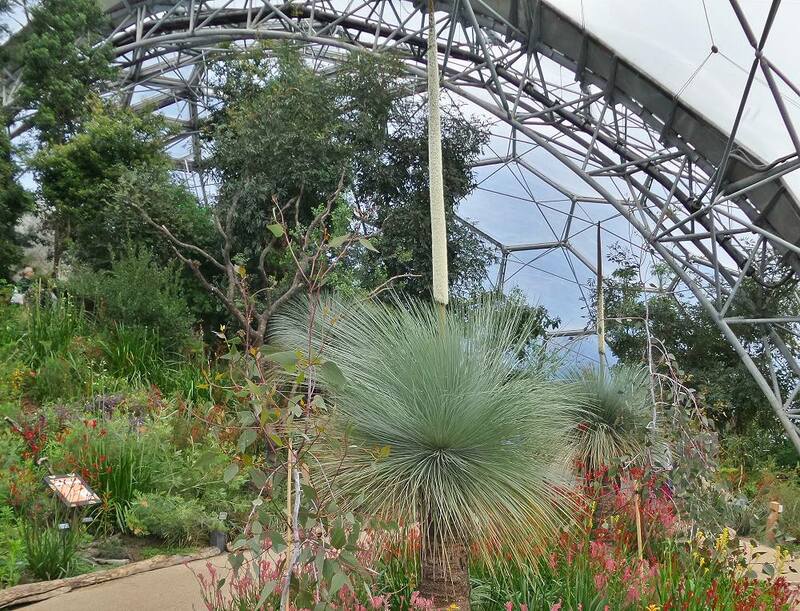 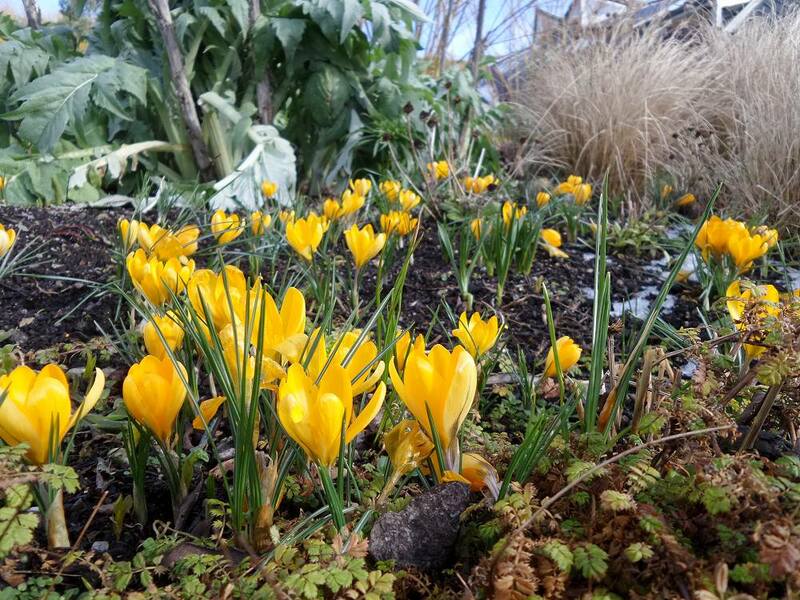 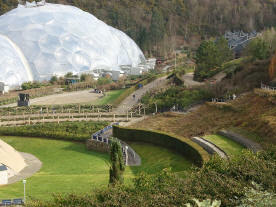 16/03/19 Butterflies fly past very quickly may be on their way to the tulips in the Med Biome. 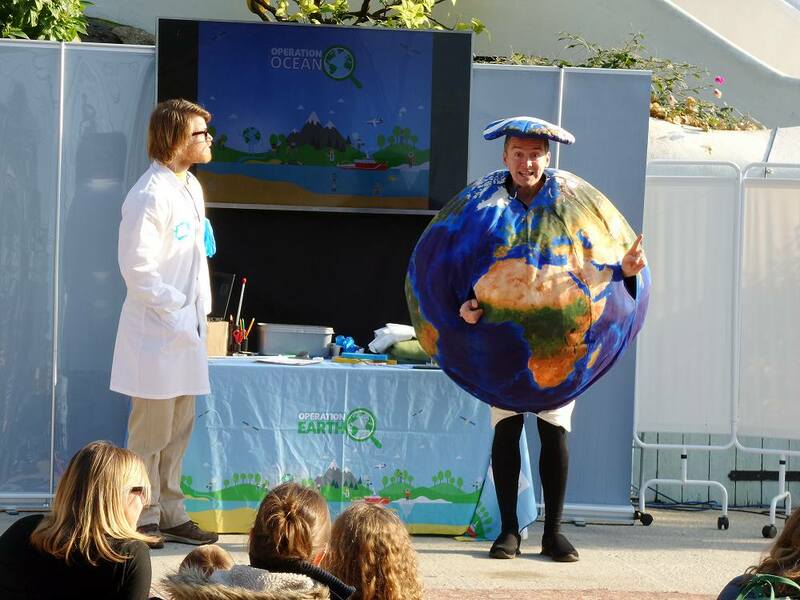 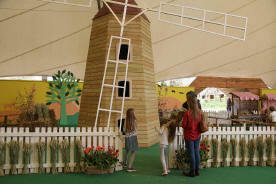 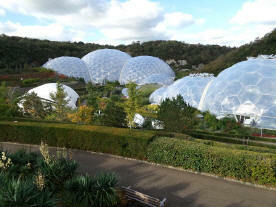 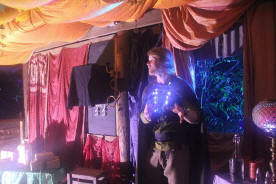 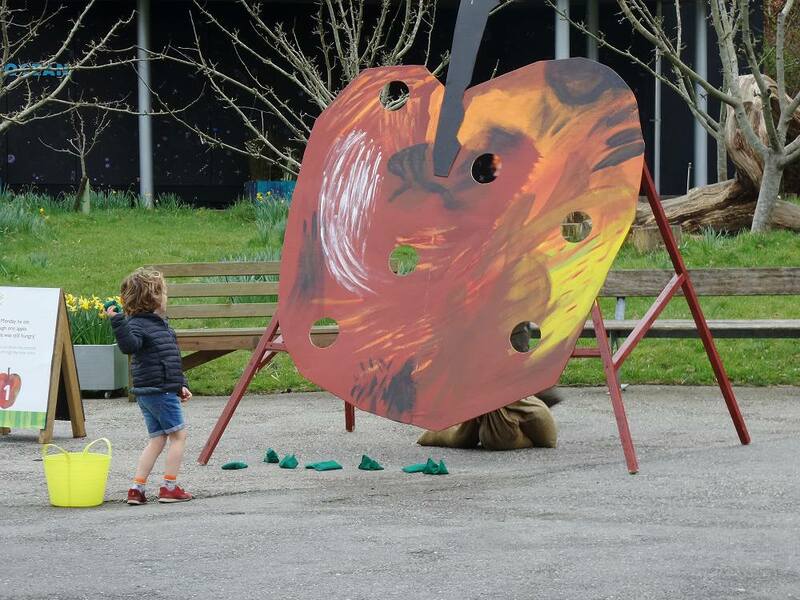 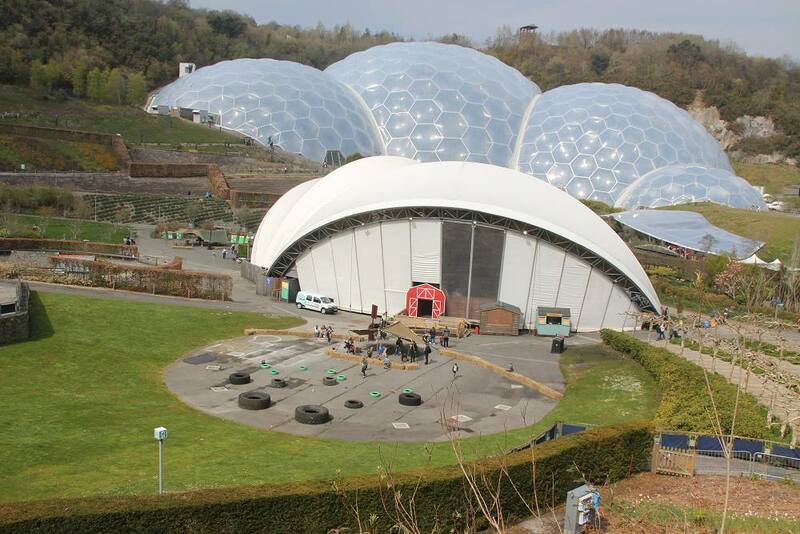 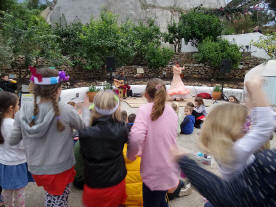 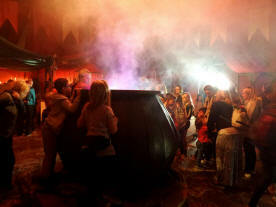 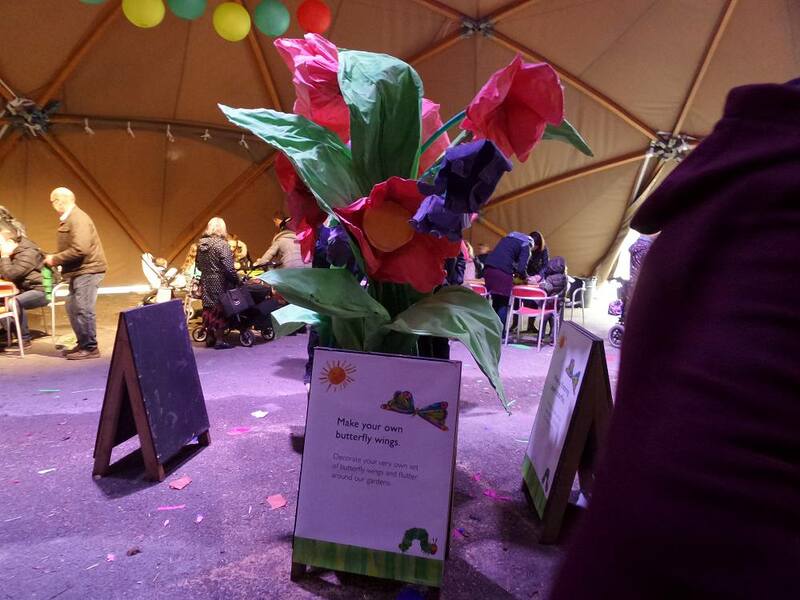 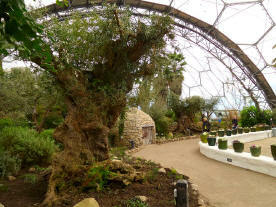 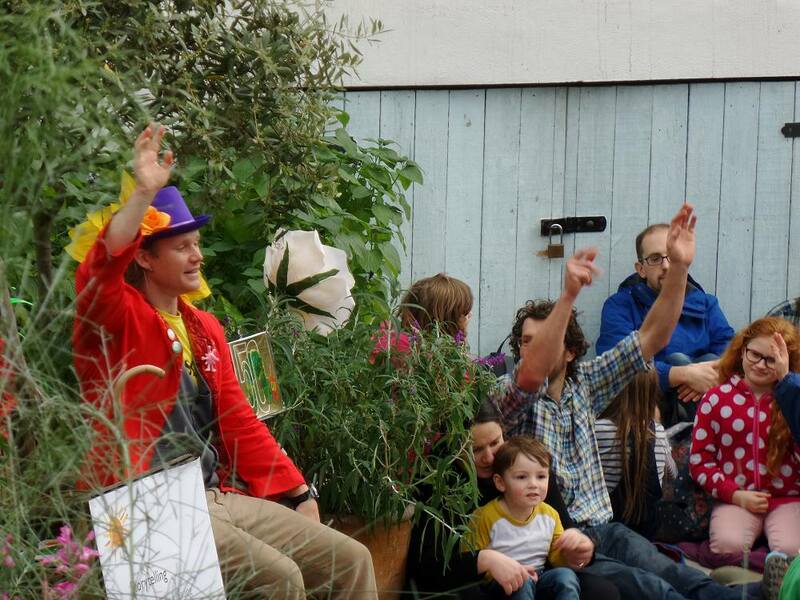 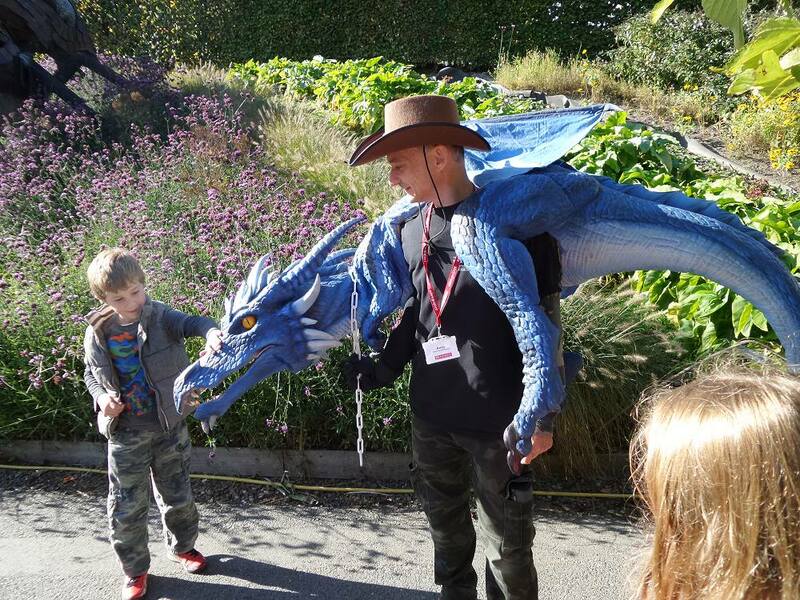 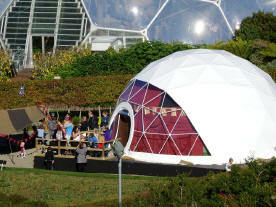 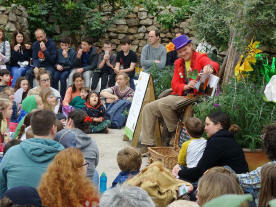 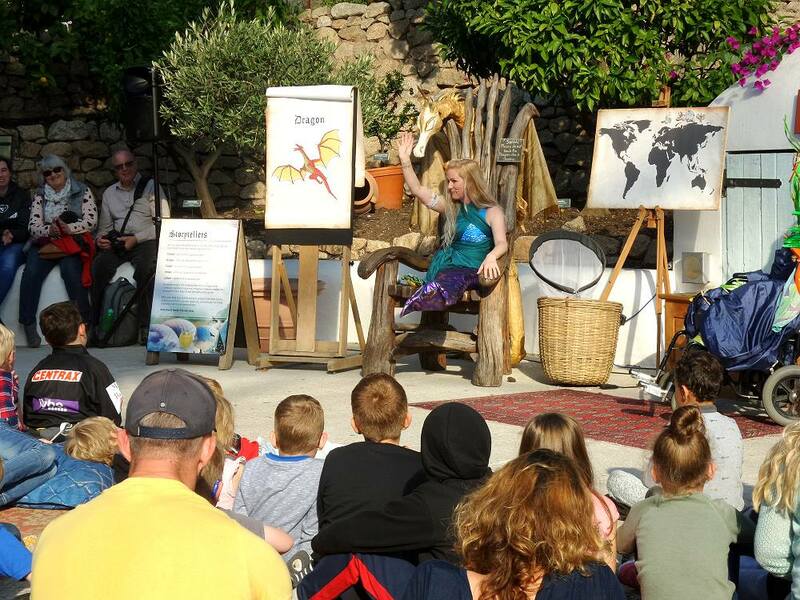 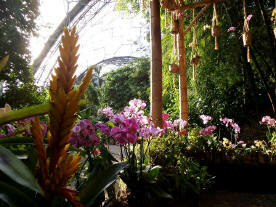 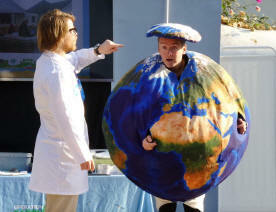 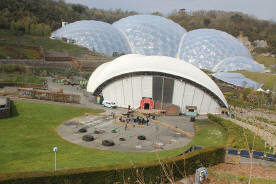 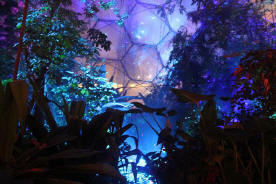 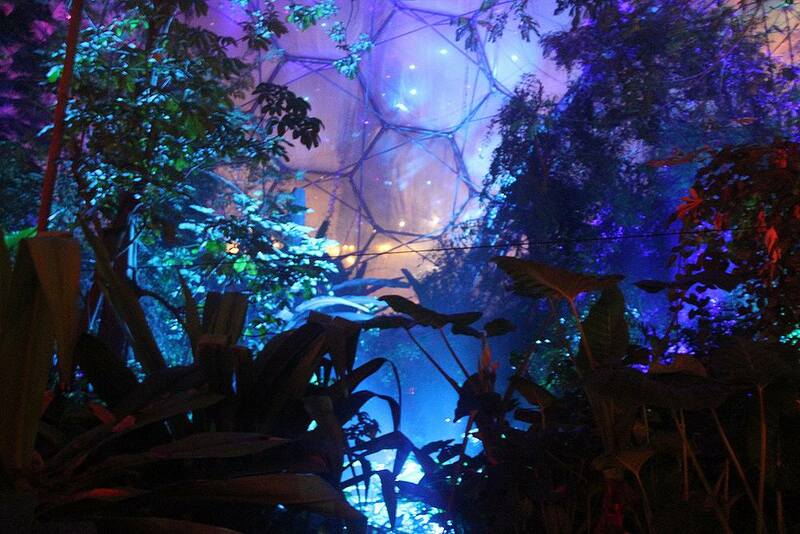 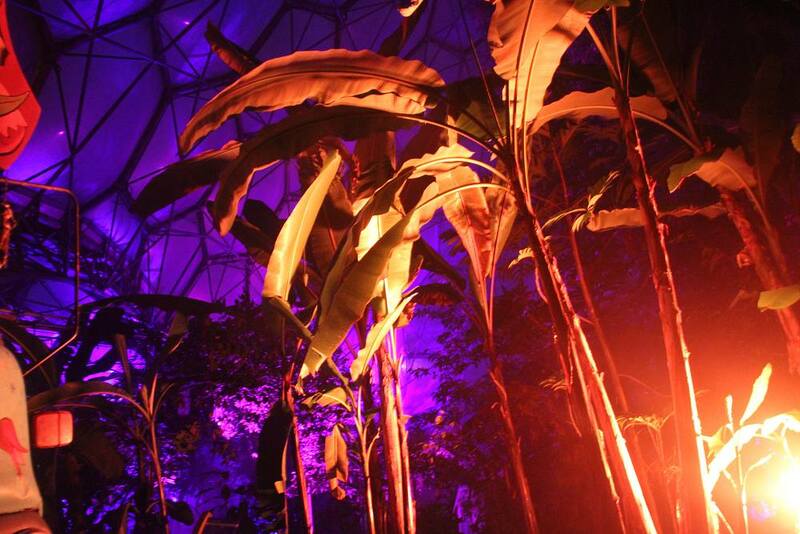 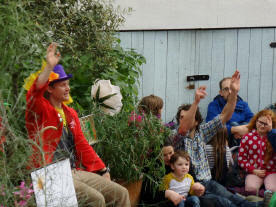 16/03/19 Story telling in the Med Biome, The Very Hungry Caterpillar™'s 50th birthday. 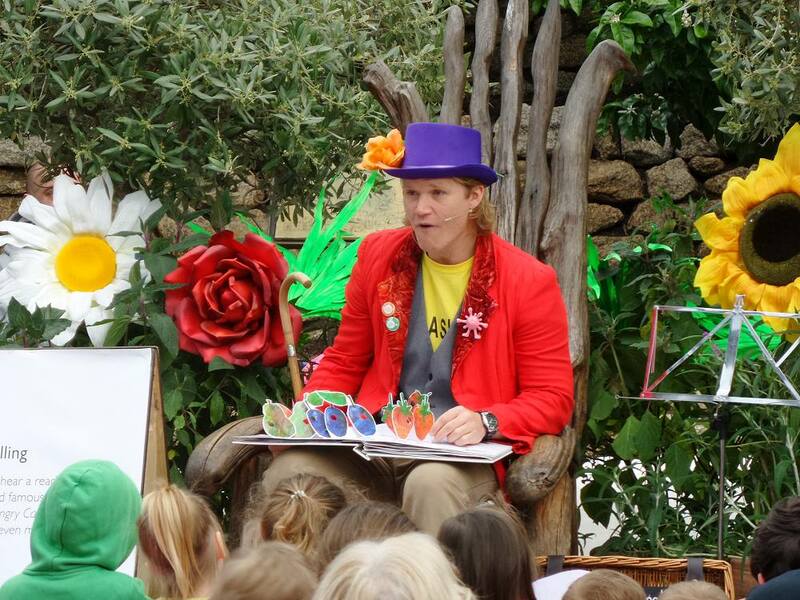 16/03/19 Very Hungry Caterpillar stories. 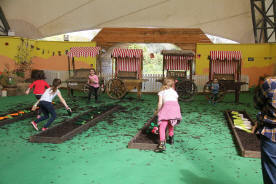 Bean bag apple target near the orchard. 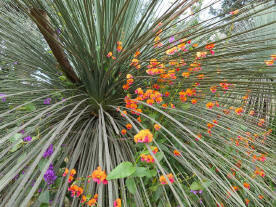 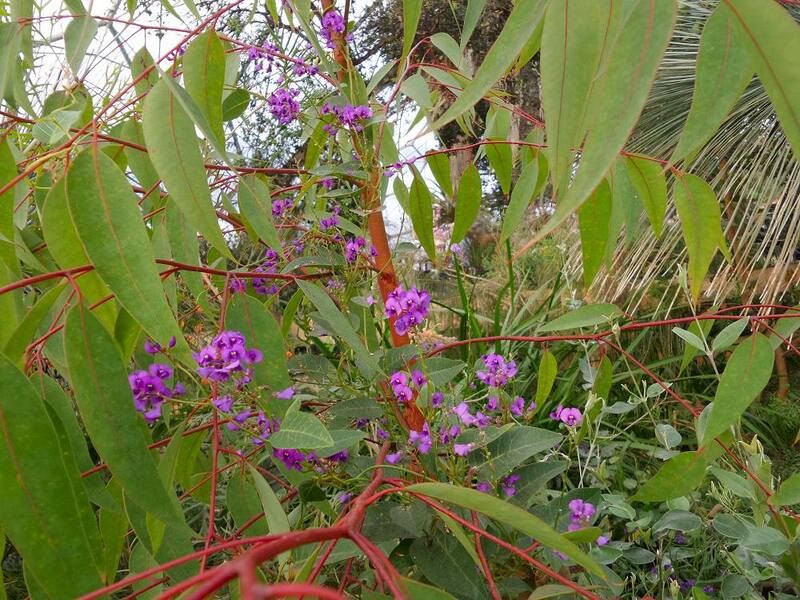 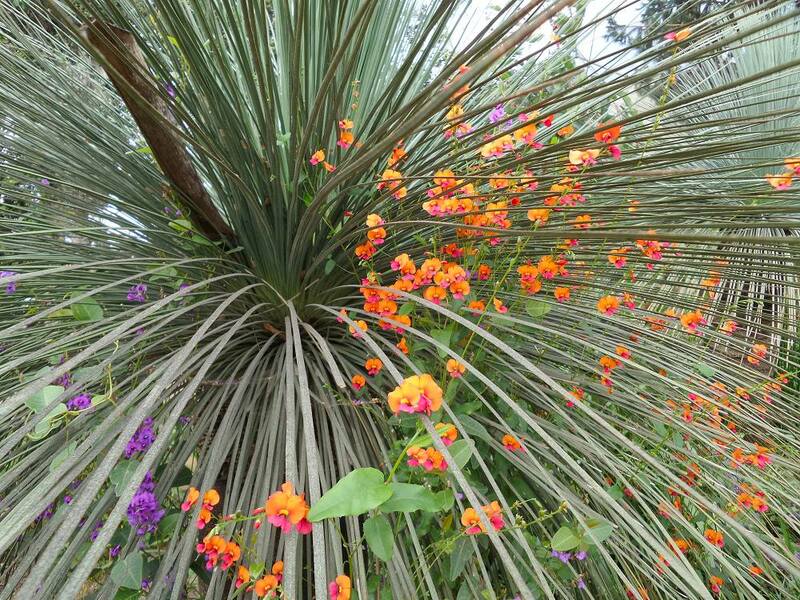 16/03/19 Grass trees in Australia area have a very impressive seed pot at this time. 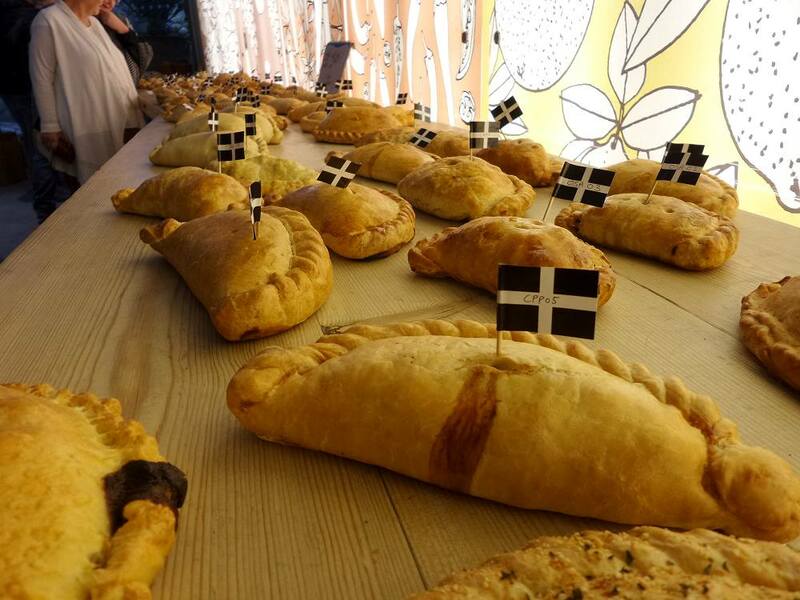 02/03/19 The pasties are all here in all shapes and sizes and colours! 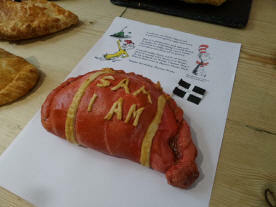 02/03/19 Not all traditionally made but all were expertly judged. 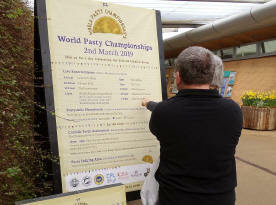 02/03/19 The Chief Judge looking after proceedings, long standing Dave Meneer. 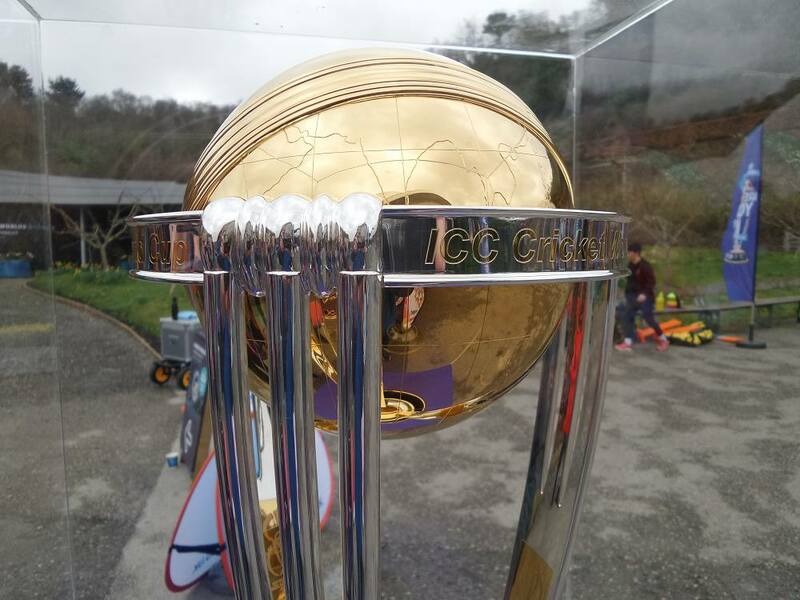 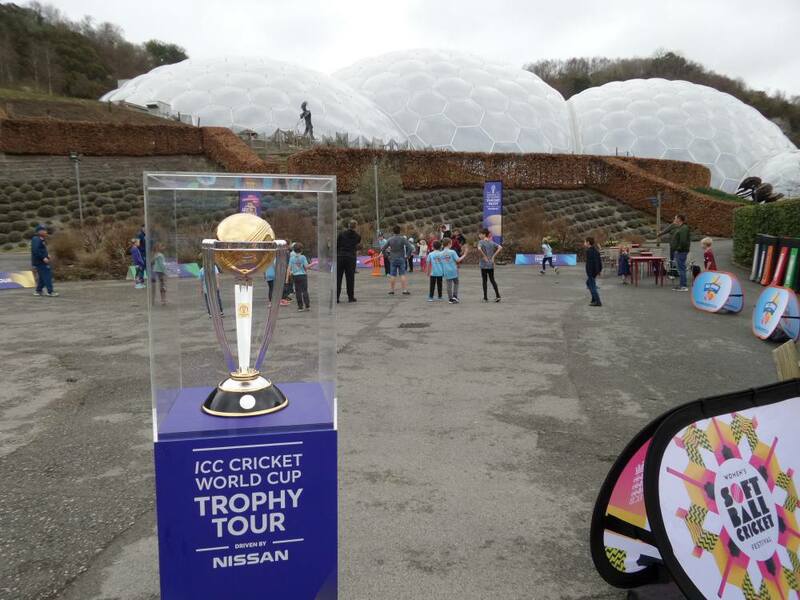 02/03/19 Making a brief appearance at Eden The World Cricket Trophy. 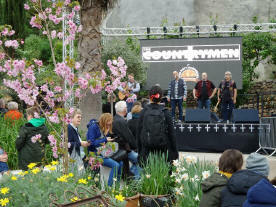 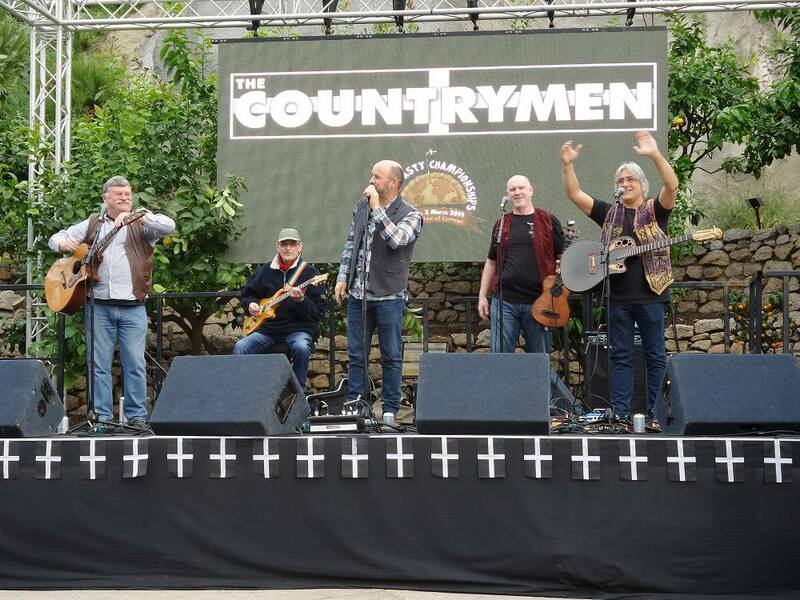 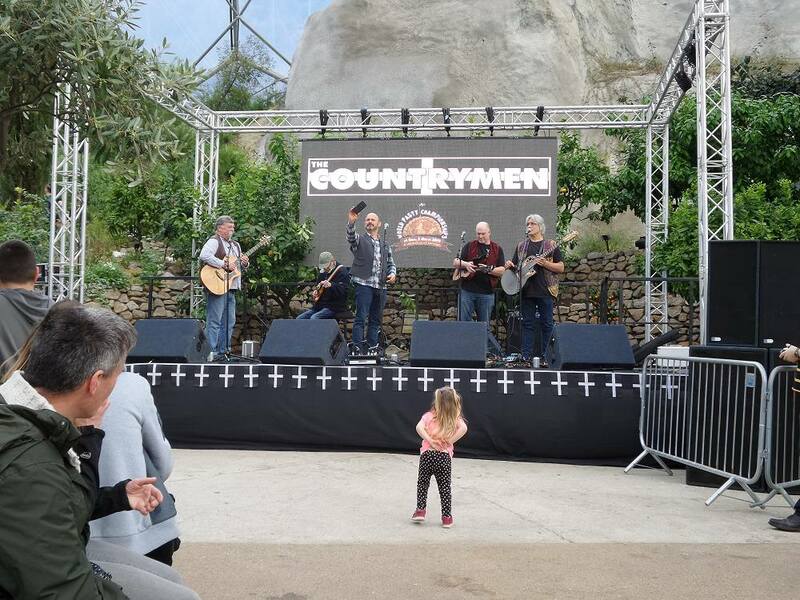 02/03/19 The audience waiting in anticipation for the Countrymen to start playing. 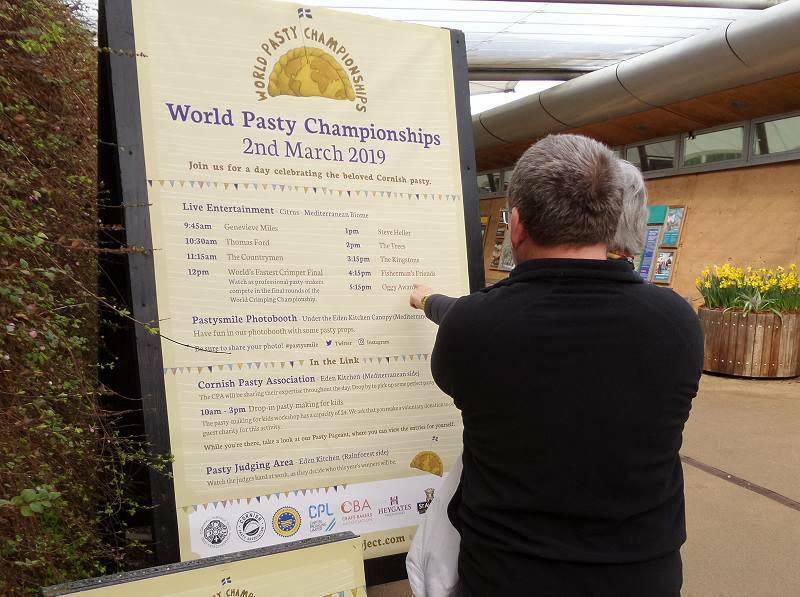 02/03/19 What a great place for spring atmosphere and to enjoy a quality pasty. 02/03/19 Among the spring flowers from all over the world. 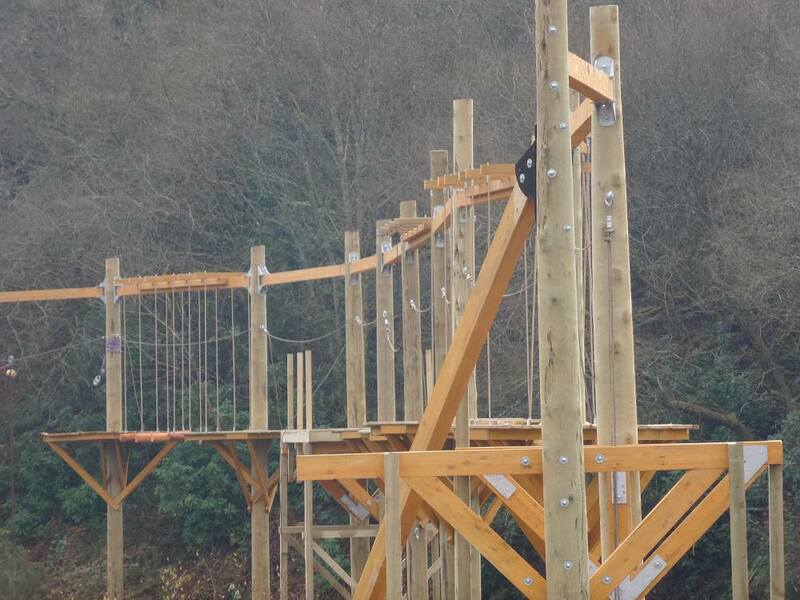 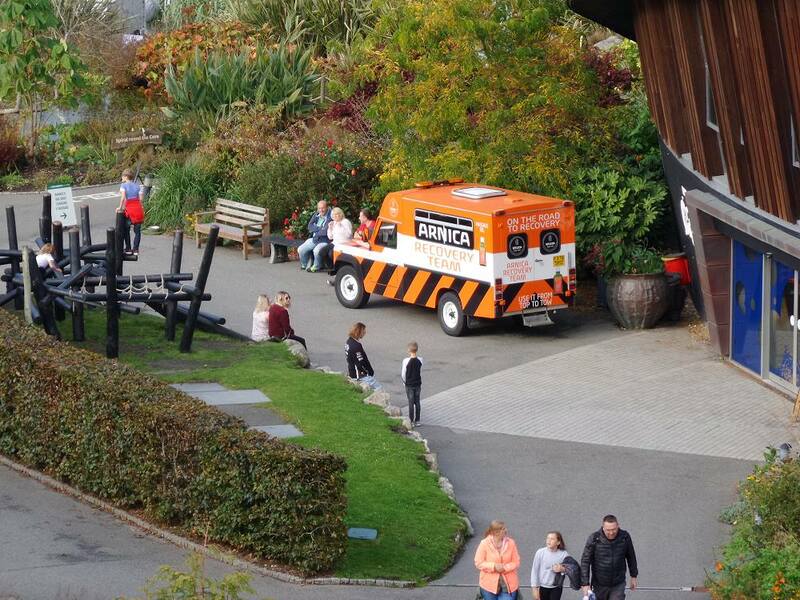 02/03/19 Outside the new adventure adrenaline generating walkway will open soon. 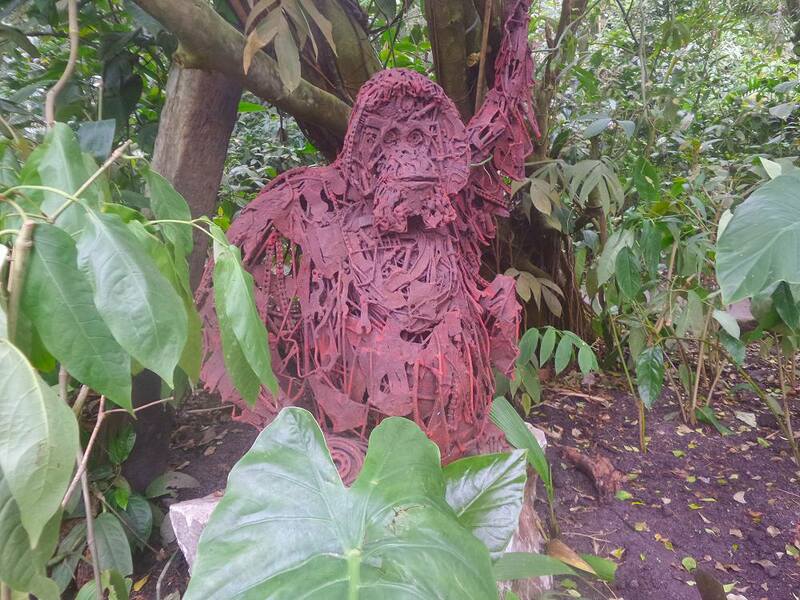 In the Rainforest look out for the orangutan hiding in the undergrowth. 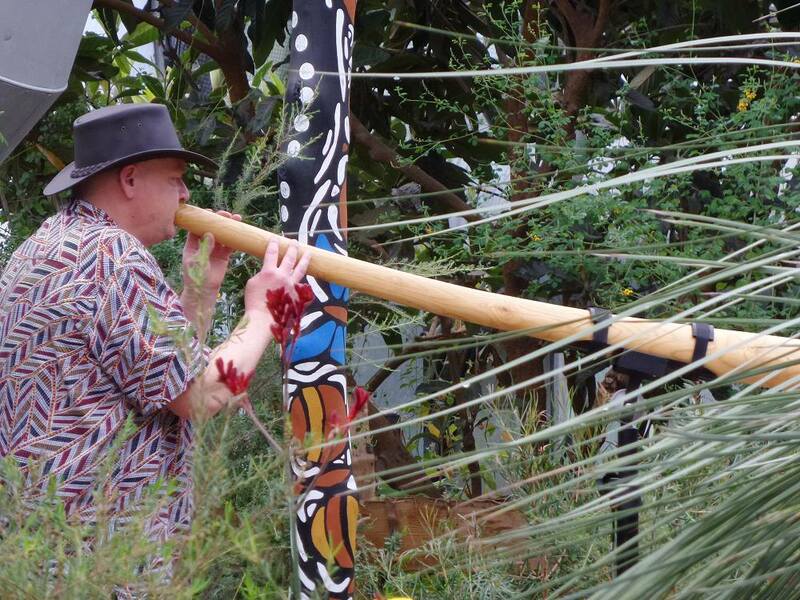 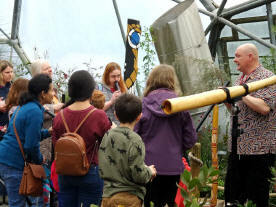 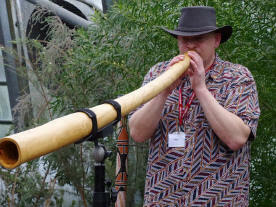 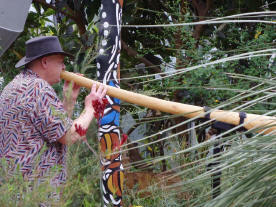 16/02/19 Half term World Adventure, Matt here playing a Didgeridoo. 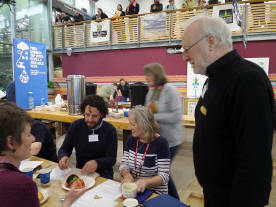 16/02/19 After Matt's performance a workshop to have a go yourself. 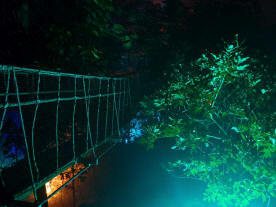 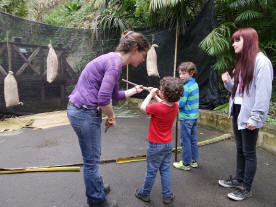 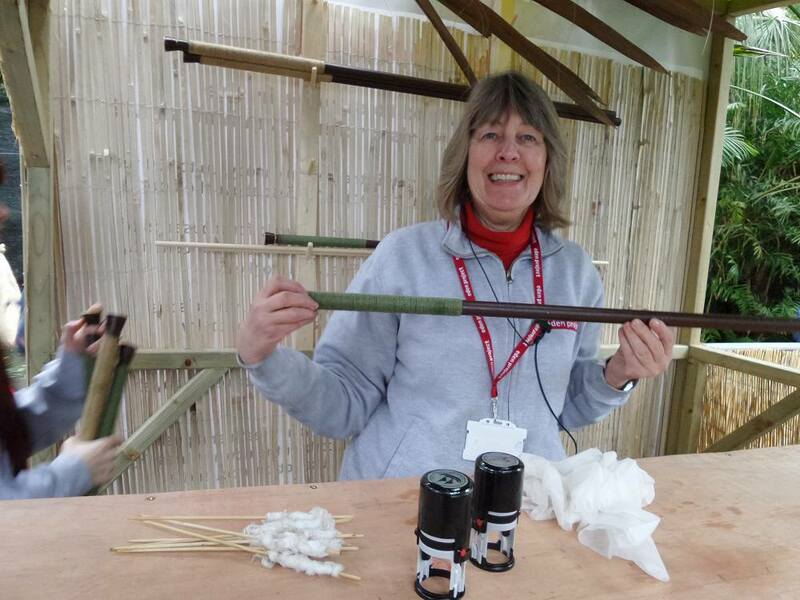 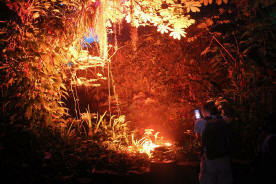 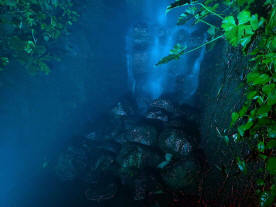 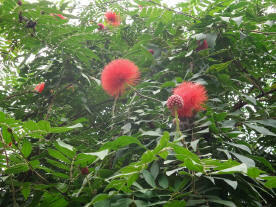 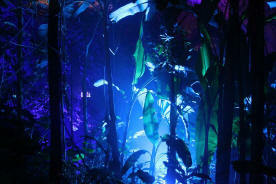 In the Rainforest have a go and test your aim with a Blow pipe. 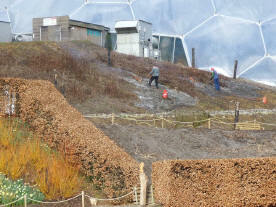 Each pipe is sanitised after use. 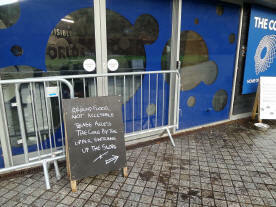 16/02/19 The darts are very accurate. 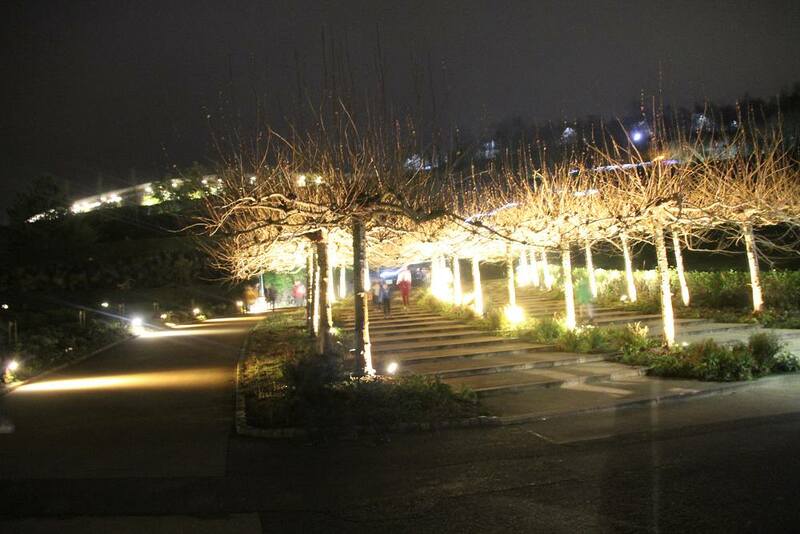 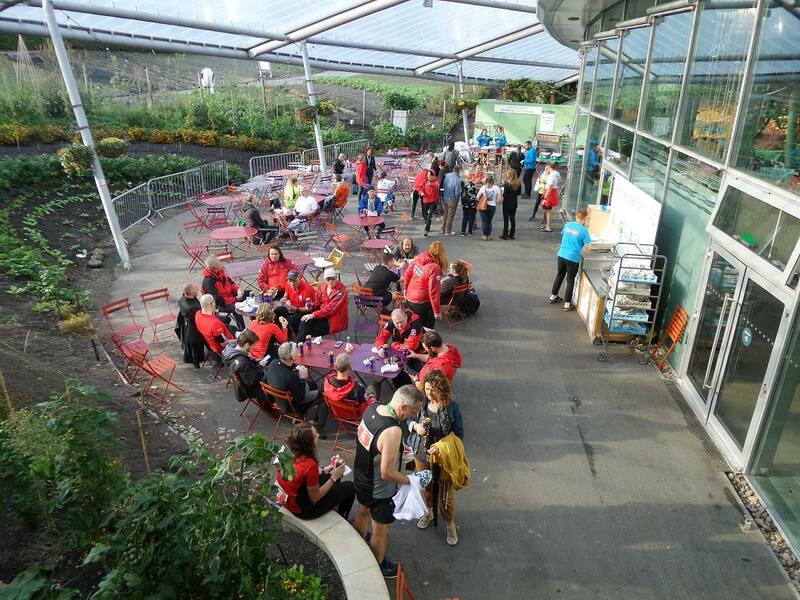 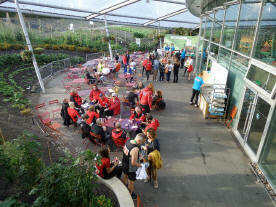 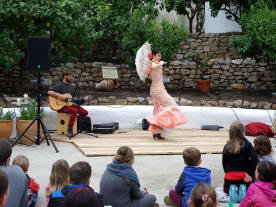 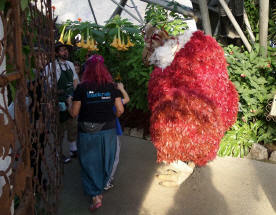 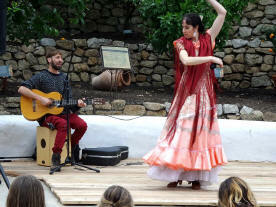 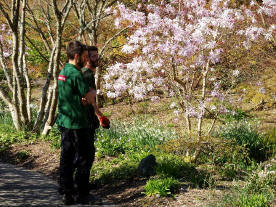 In the Med Biome flamenco performances take place. 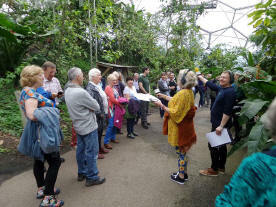 16/02/19 There a chance to learn some steps and join in. 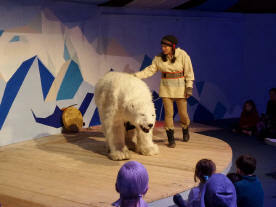 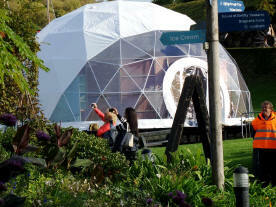 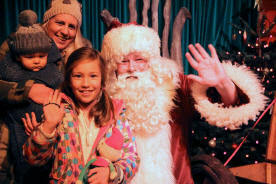 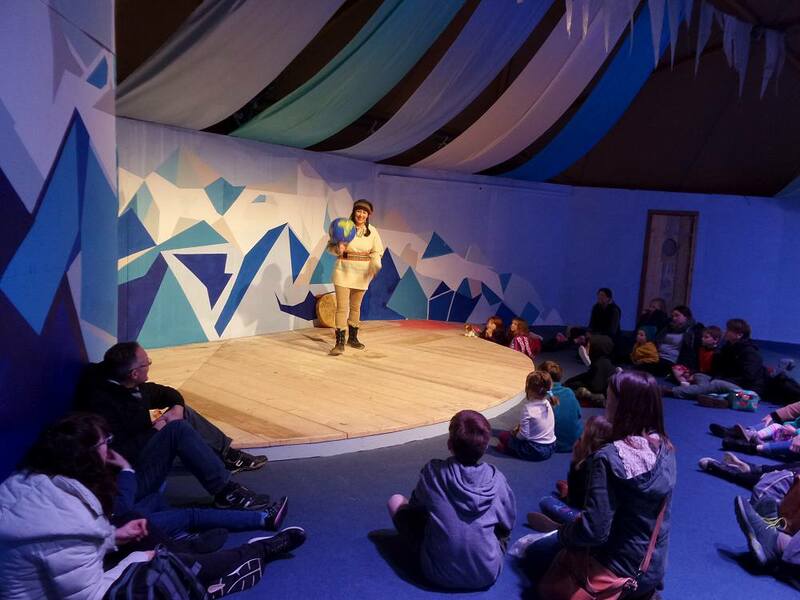 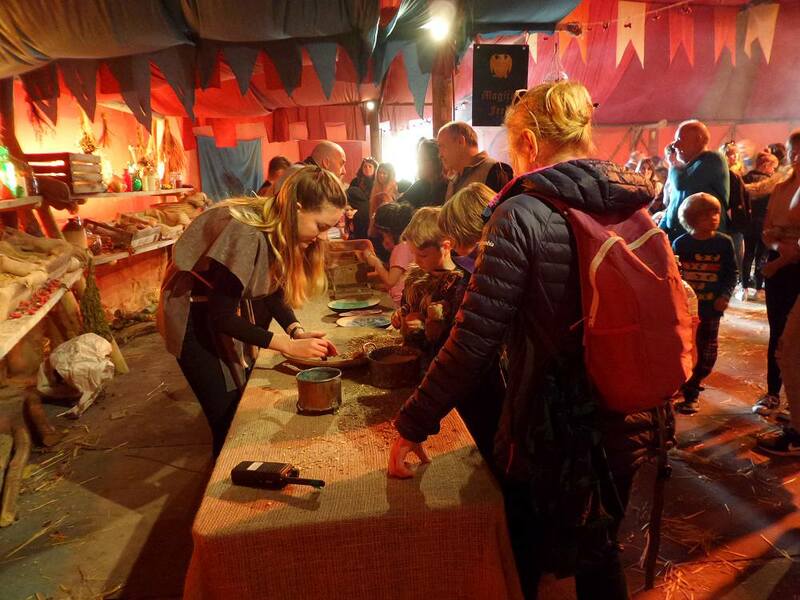 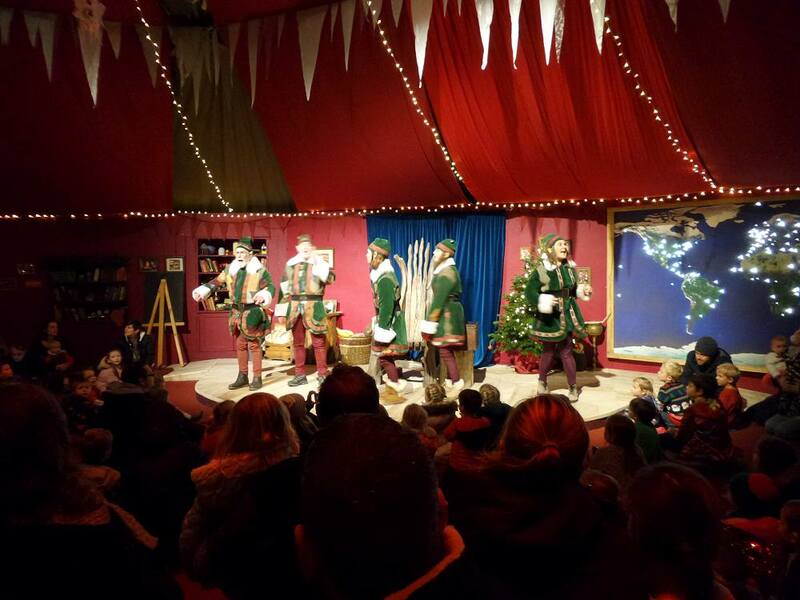 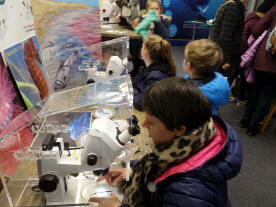 16/02/19 In the Dome tent listen to an arctic story and meet a real Polar Bear. 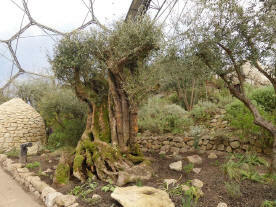 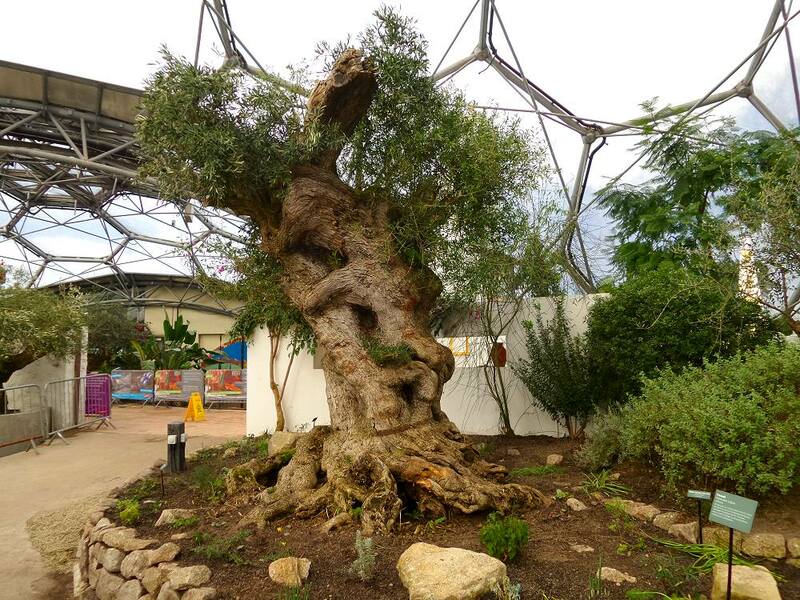 15/02/19 Once there were three olive trees, the oldest may well be 1500 years of age now sit happily in the Med Biome looking as if they have always been there. 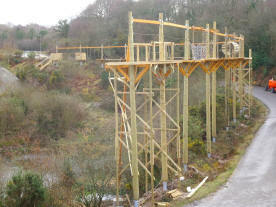 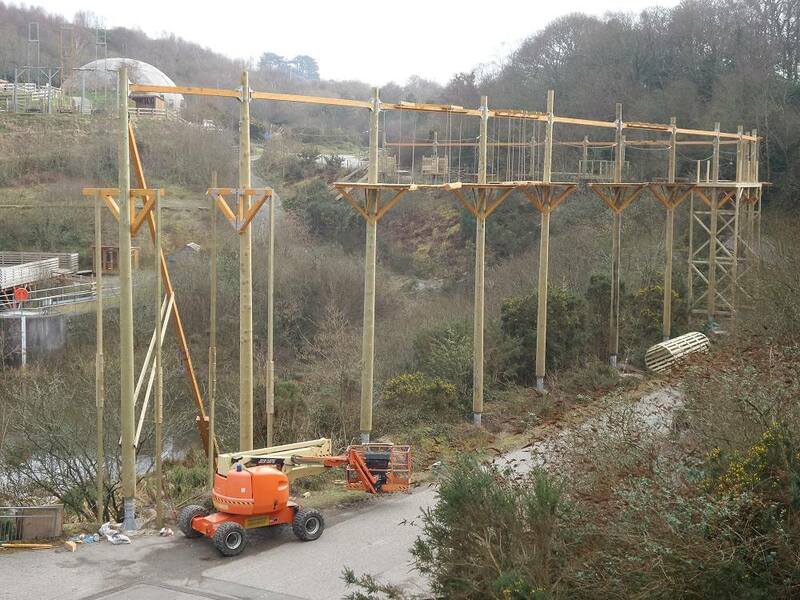 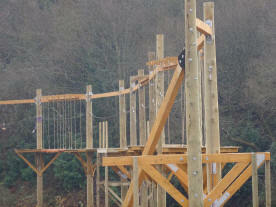 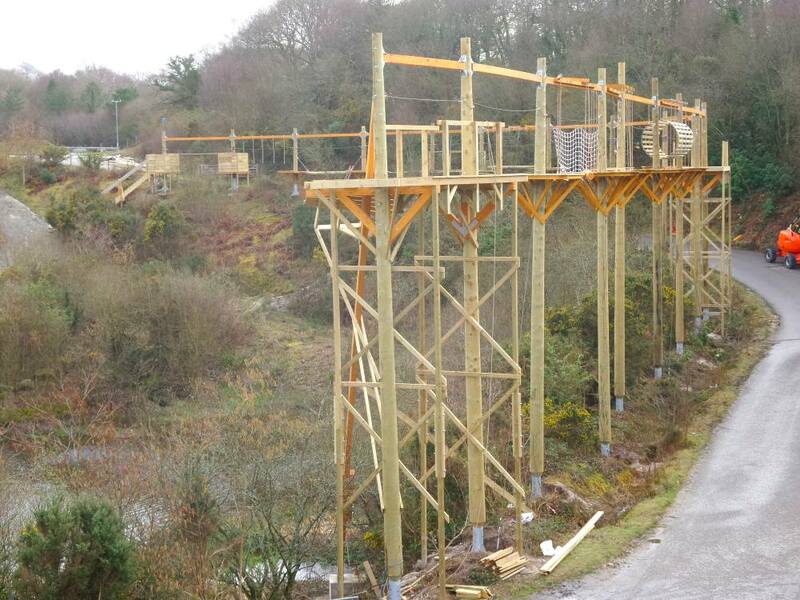 15/02/19 Near completion the challenging high walk way. 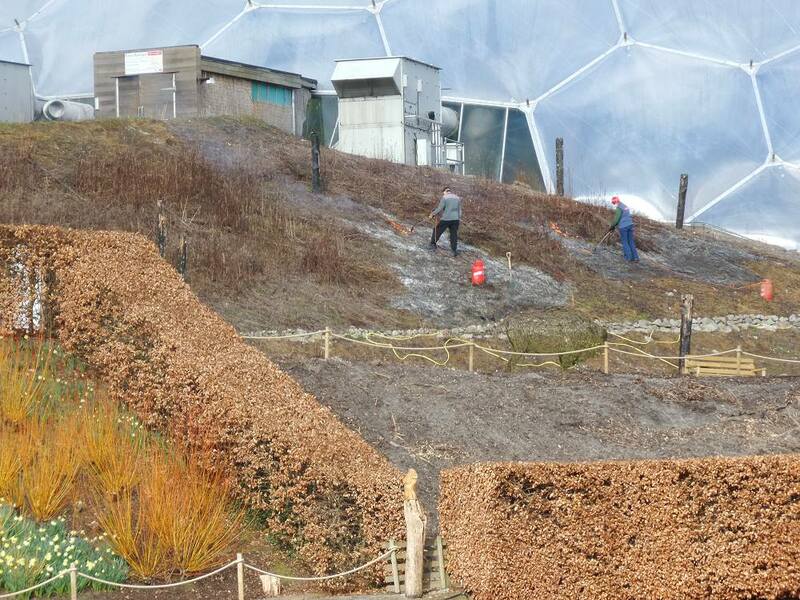 15/02/19 The Grand steps trees all pruned neat and tidy. 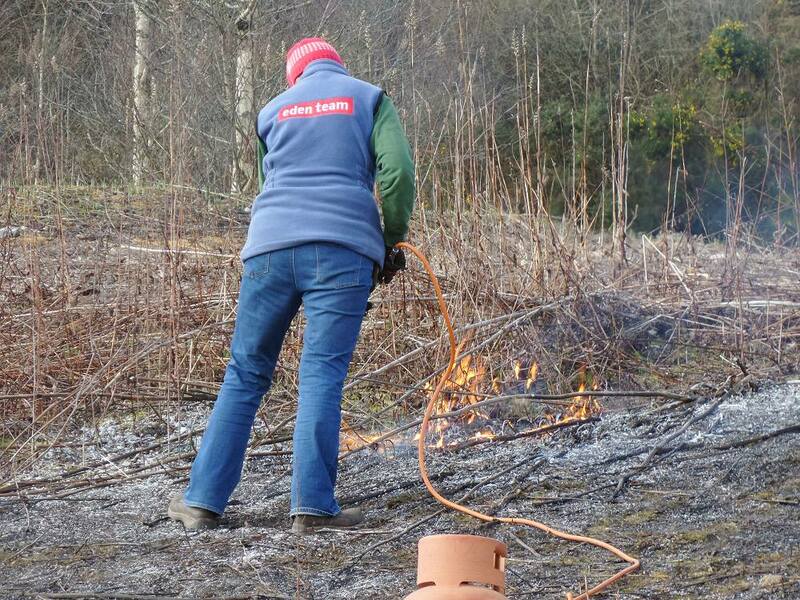 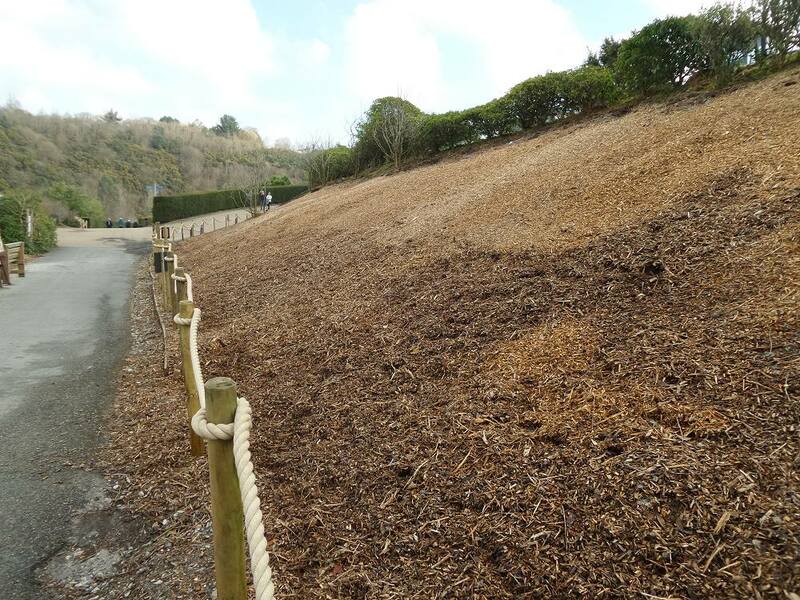 14/02/19 Many areas have been pruned right back to the ground around the Arena. 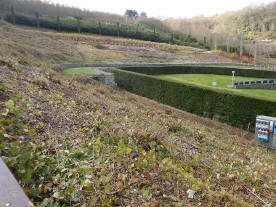 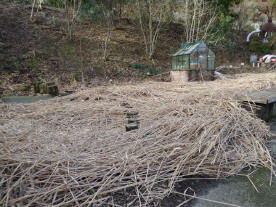 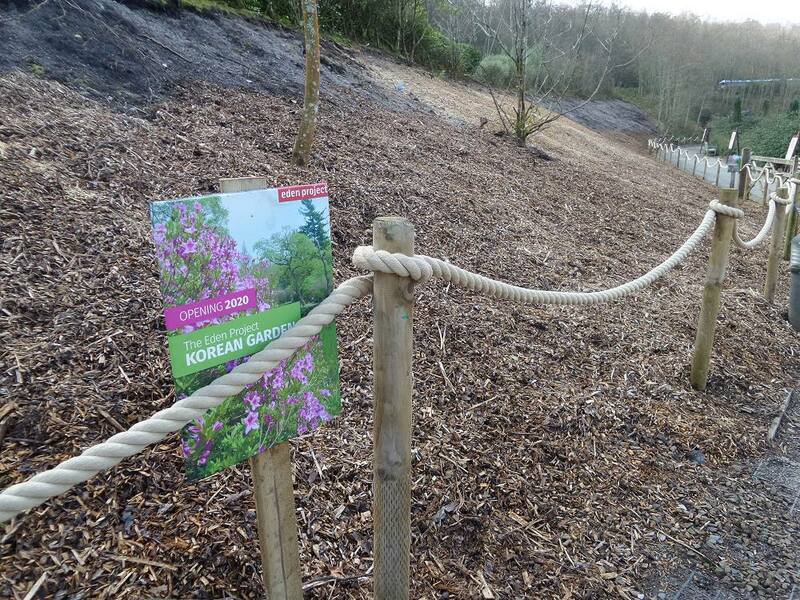 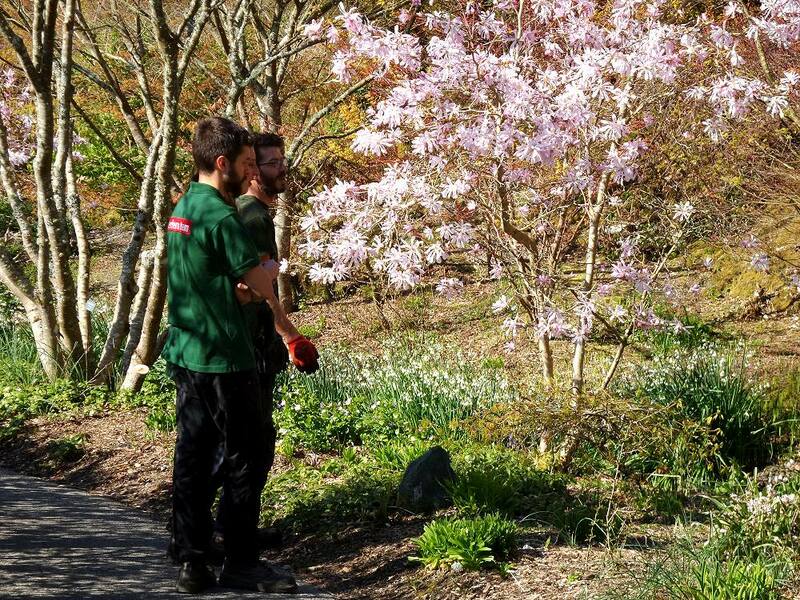 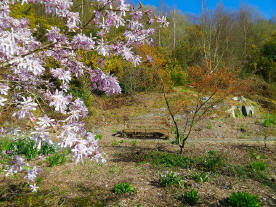 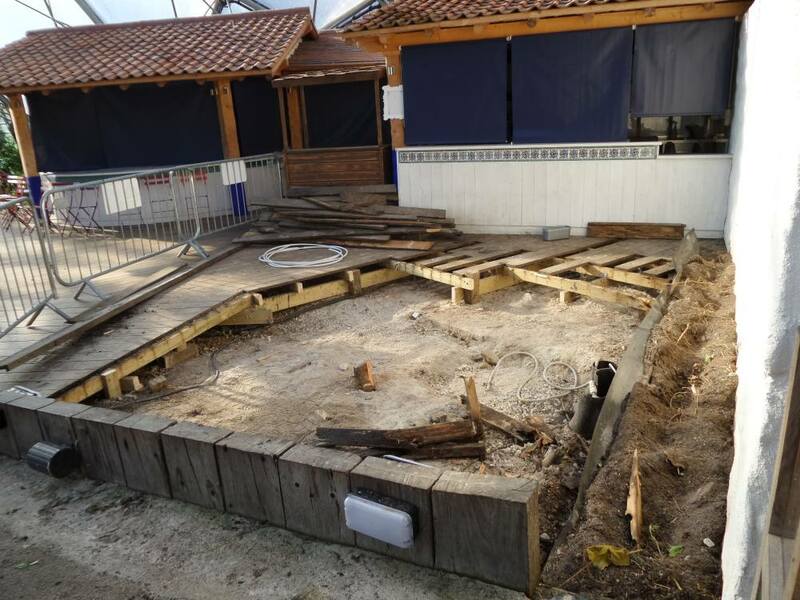 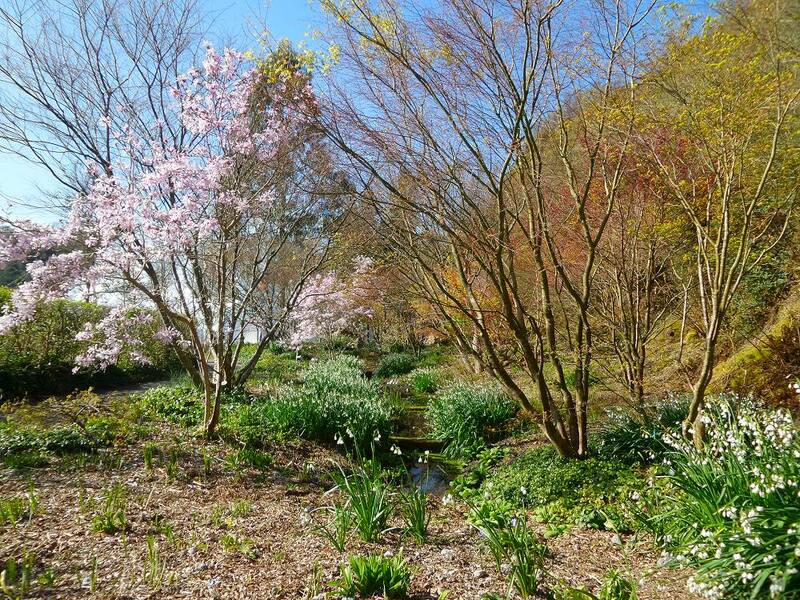 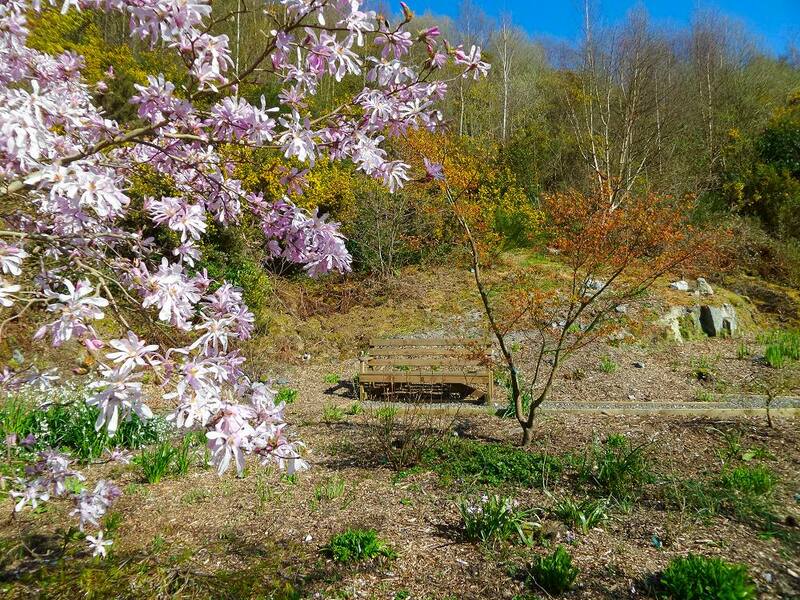 14/02/19 An area has been cleared to make way for the Korean Garden that will be in full bloom by 2020. 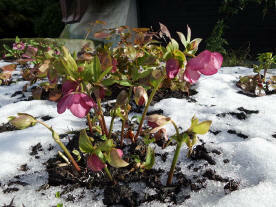 The Green Team and volunteers are still hard at work. 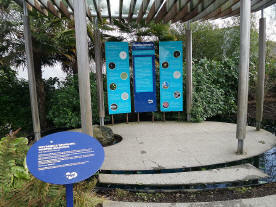 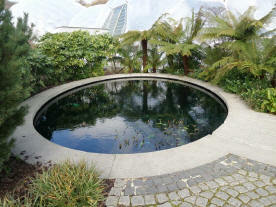 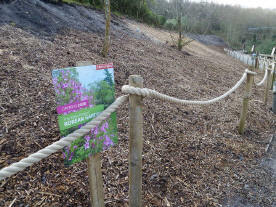 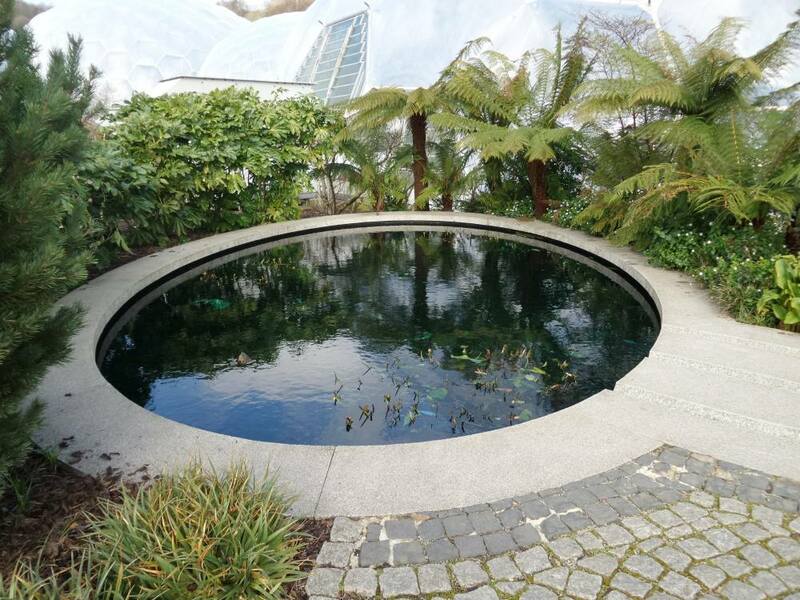 14/02/19 The water garden has had a make over with new signage installed. 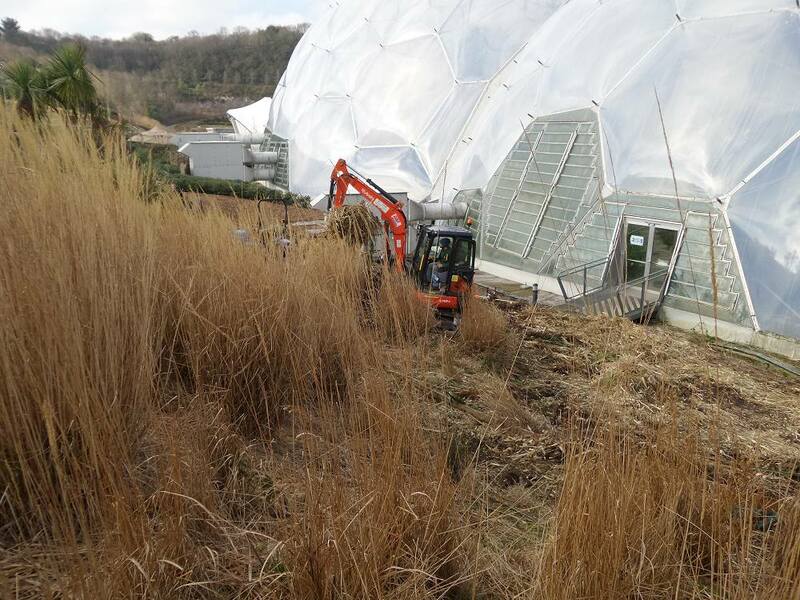 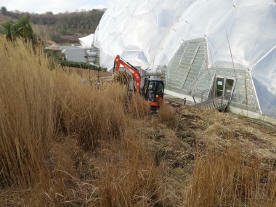 14/02/19 Digger behind the Med Biome are clearing the area of grasses. 14/02/19 Eve has a good crop of snowdrops around her. 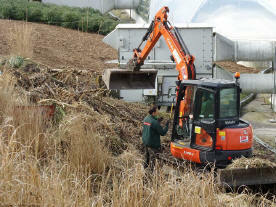 Trees grown for fuel have been cut down. 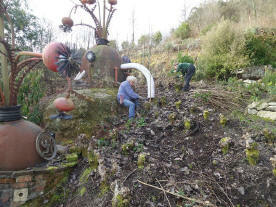 14/02/19 The allotment is having a make over. 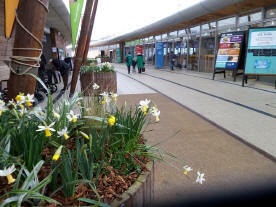 The clean and tidy look around the Arena. 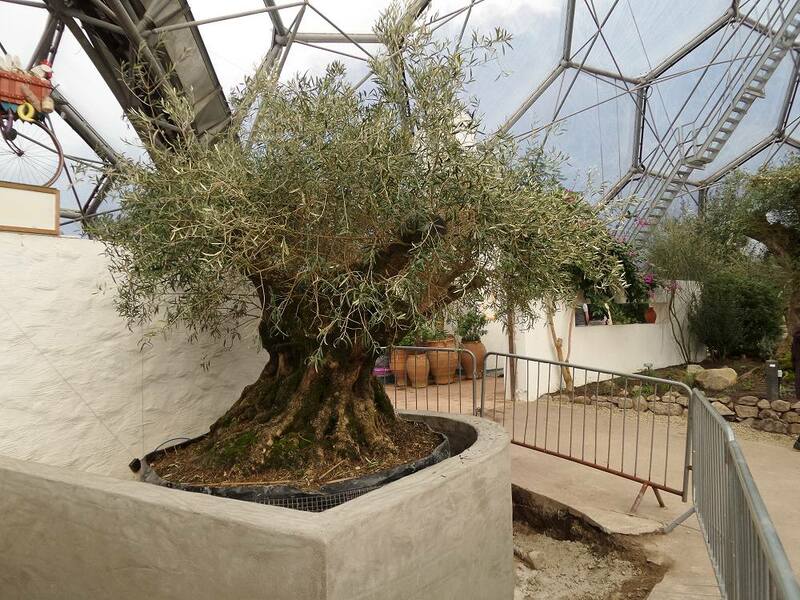 14/02/19 The first of the 5 tonne olive trees is in place whilst finishing touches are made to its new home. 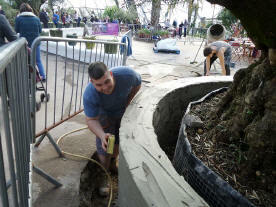 I did ask how he made the birds foot prints? 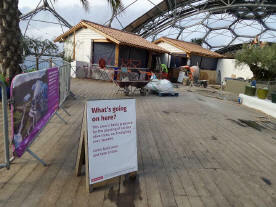 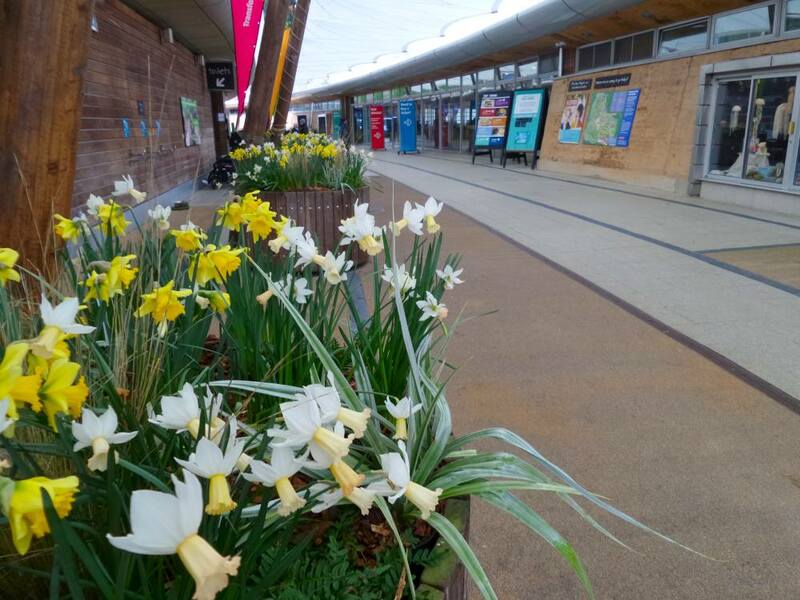 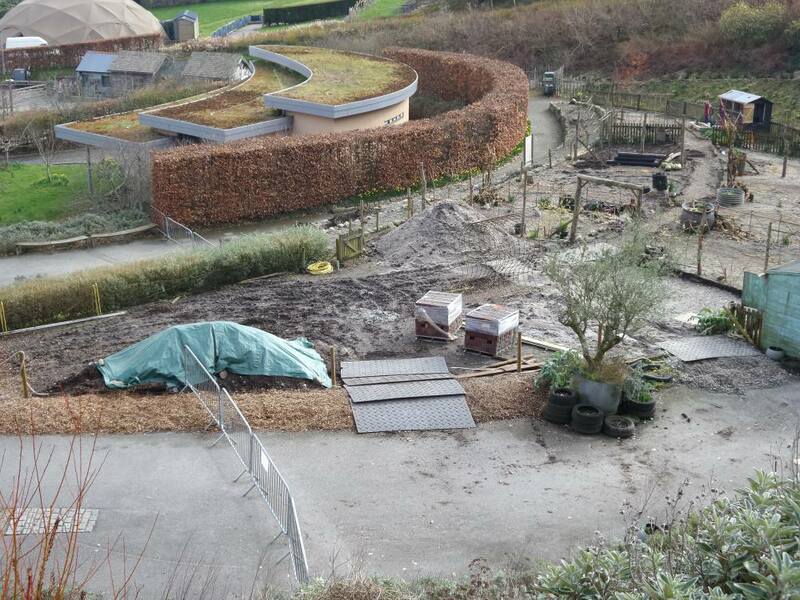 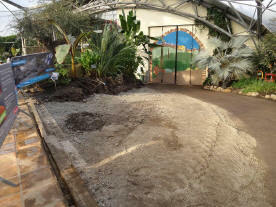 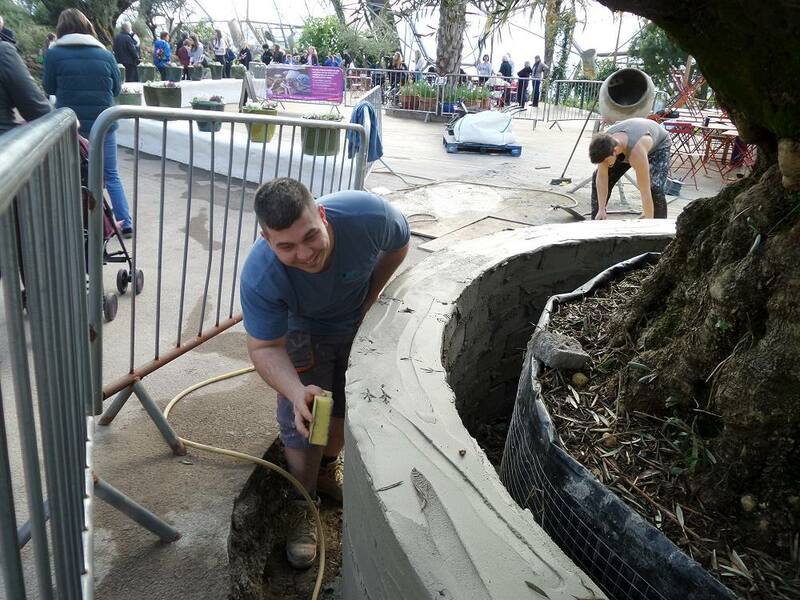 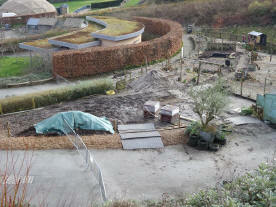 14/02/19 In the Med Biome the area next to the entrance doors has been cleared. 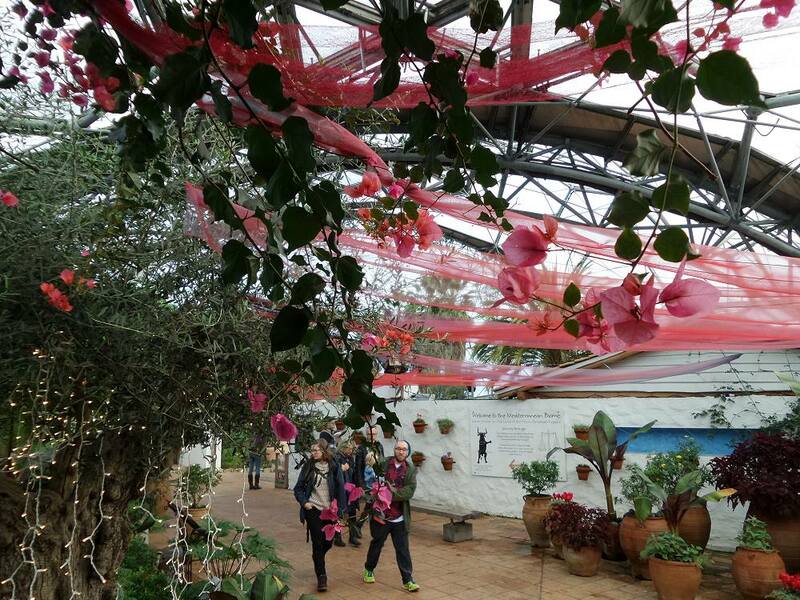 14/02/19 Its was all happening at Eden on valentines day. 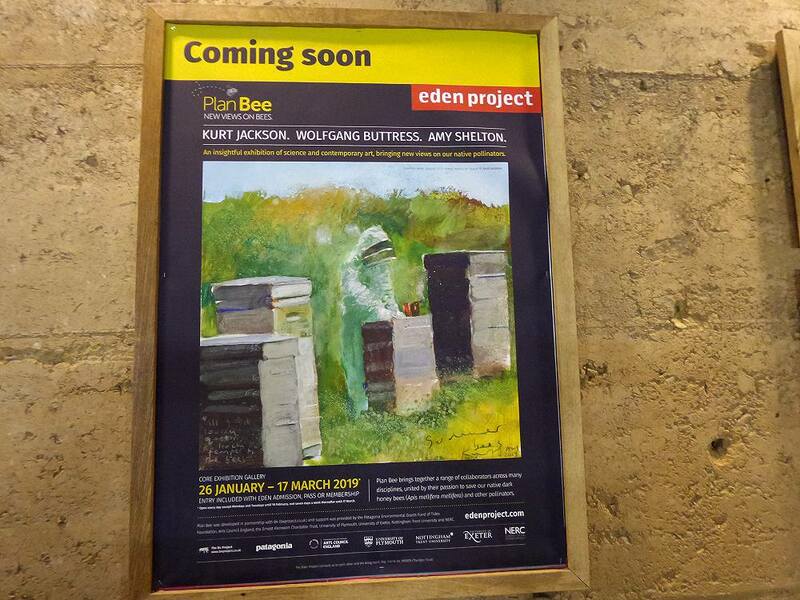 03/02/19 Eden Street. 'Linda' Ghost Net Dress by Linda Thomas Eco Design. 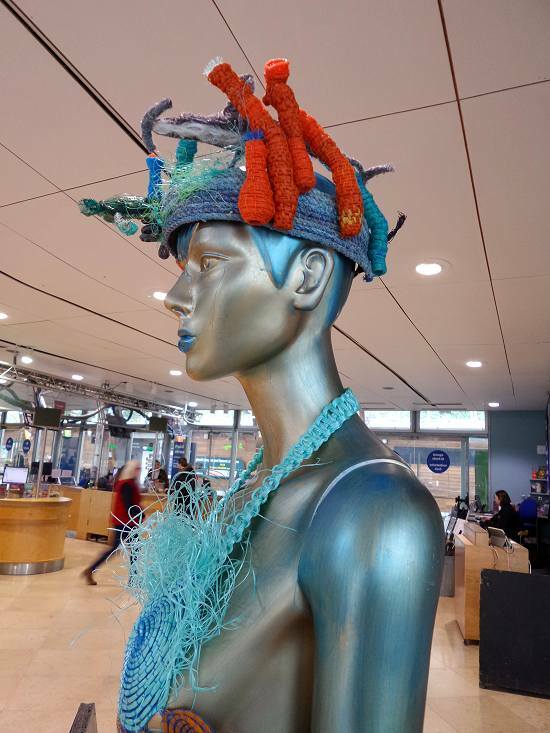 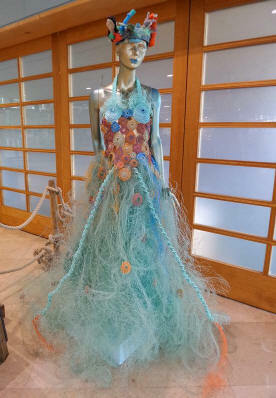 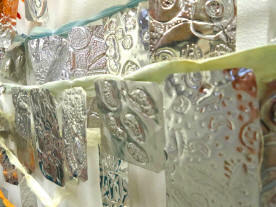 Made from old nets, lines & ropes left behind by the fishing industry. 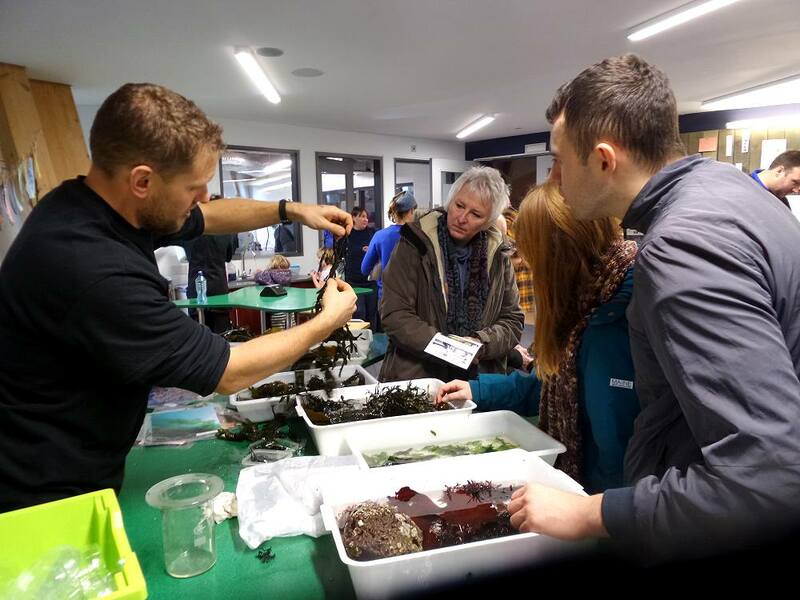 03/02/19 A close look at seaweed, types and importance. 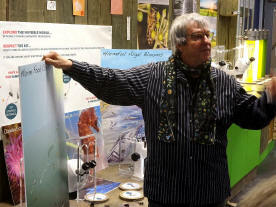 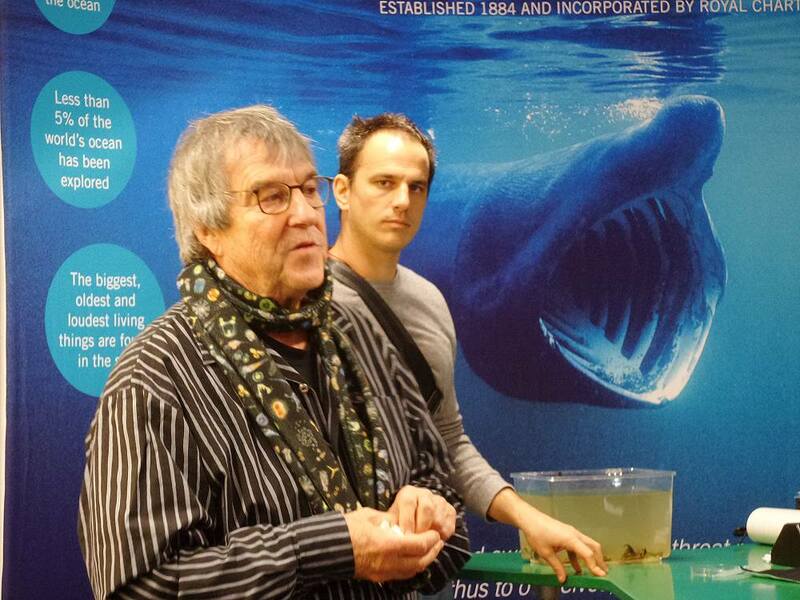 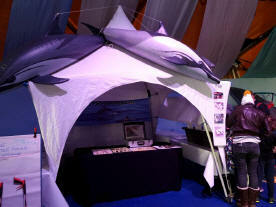 by The Marine Biological Association. 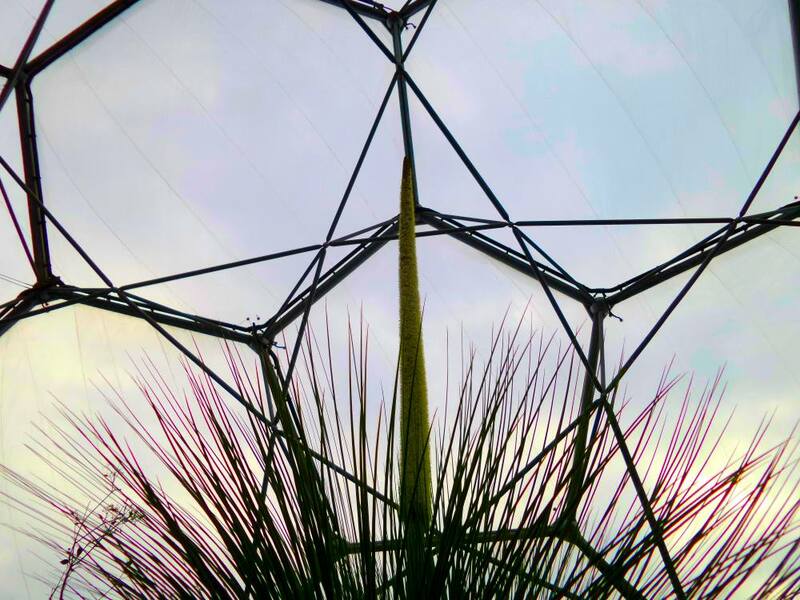 03/02/19 Lots to discover in the Lab today. 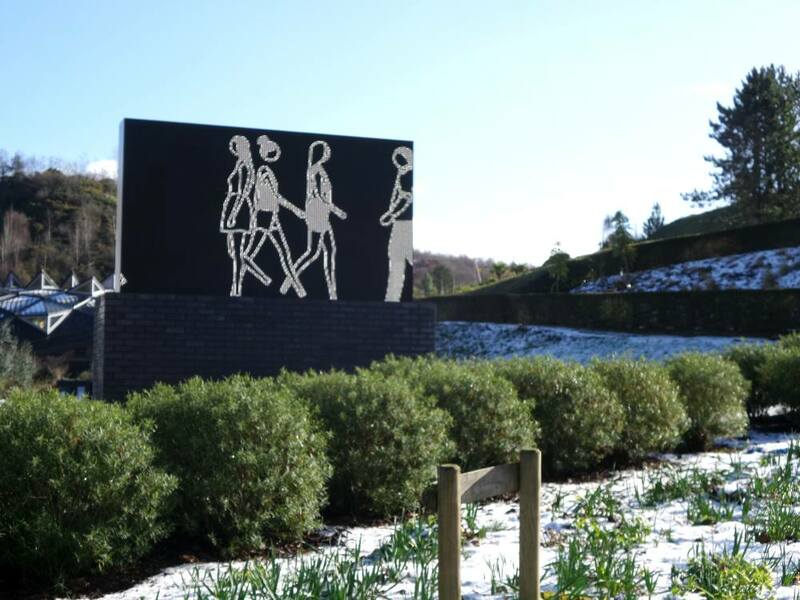 02/02/19 Julian Opie artwork called 'Crowd 4'. 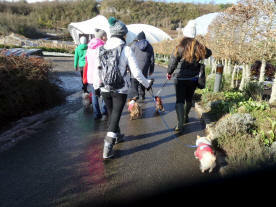 Dog walking on a sunny but cold day. 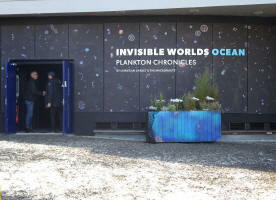 02/02/19 Invisible Worlds Ocean, opens today in what was the cinema theatre. 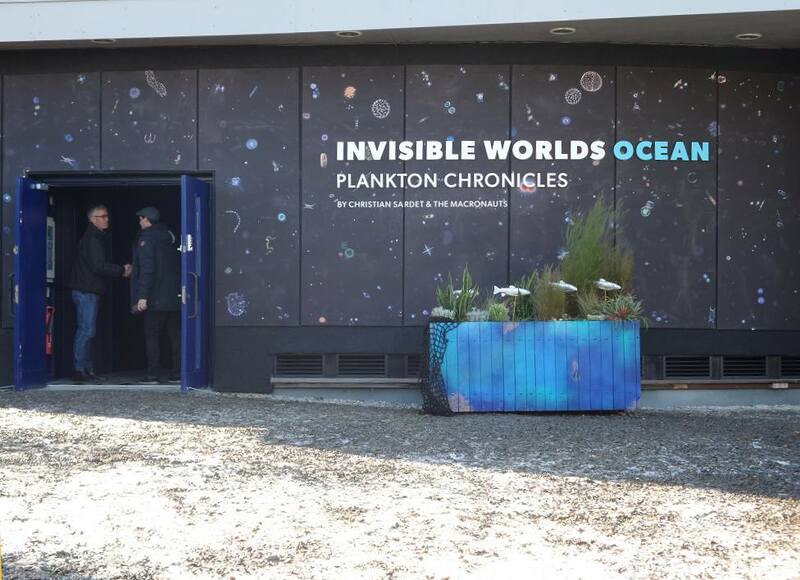 02/02/19 There's a gallery of amazing photographs and a video area. 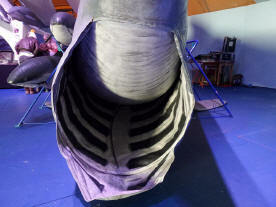 02/02/19 In the Dome tent there's dolphins and whale workshop. 02/02/19 In the Med Biome Earth is visiting the Doctor. 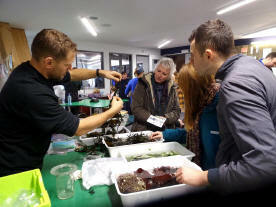 02/02/19 In the Lab talks from experts at Plymouth Marine Laboratory about how algal viruses can be used in biotechnology, for medical and cosmetic products Please don't miss Plan-Bee in the Core. 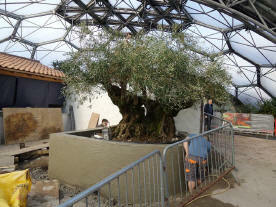 02/02/19 Large hole being dug in the Med Biome which will accommodate a 2000 year old olive tree. 02/02/19 Spring is on its way, blossoms are peaking above the snow. 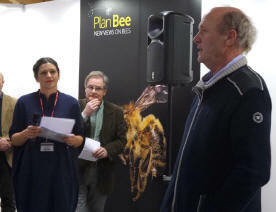 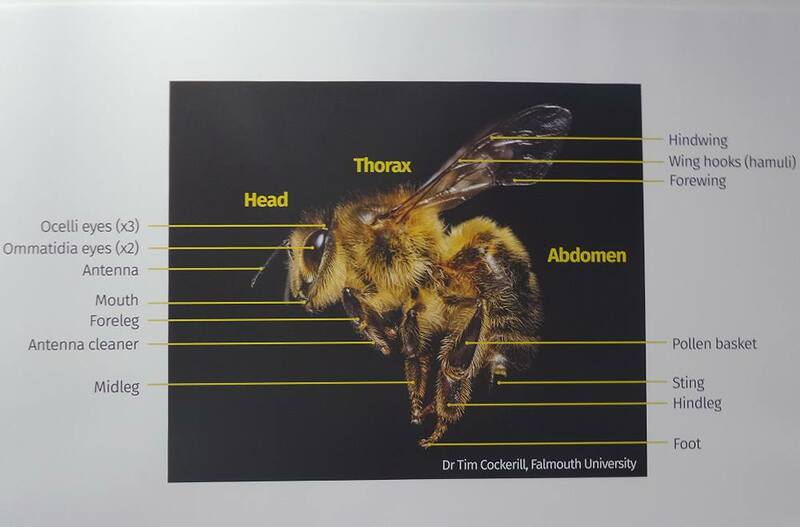 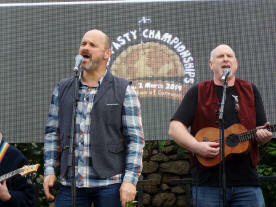 25/01/19 There were speeches by Tim Smit all about saving our native dark honey bees. 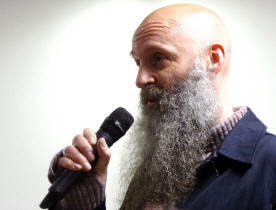 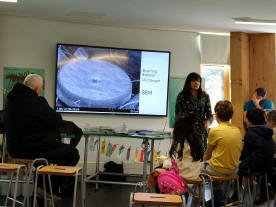 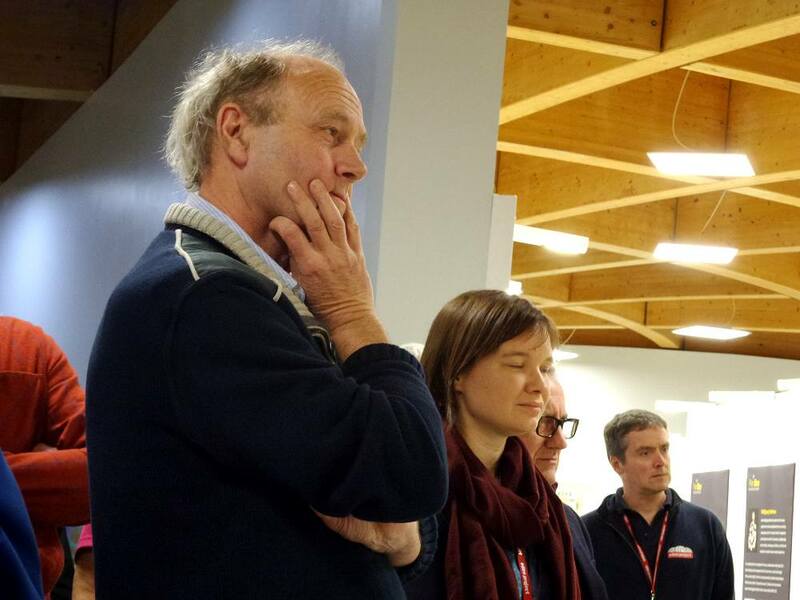 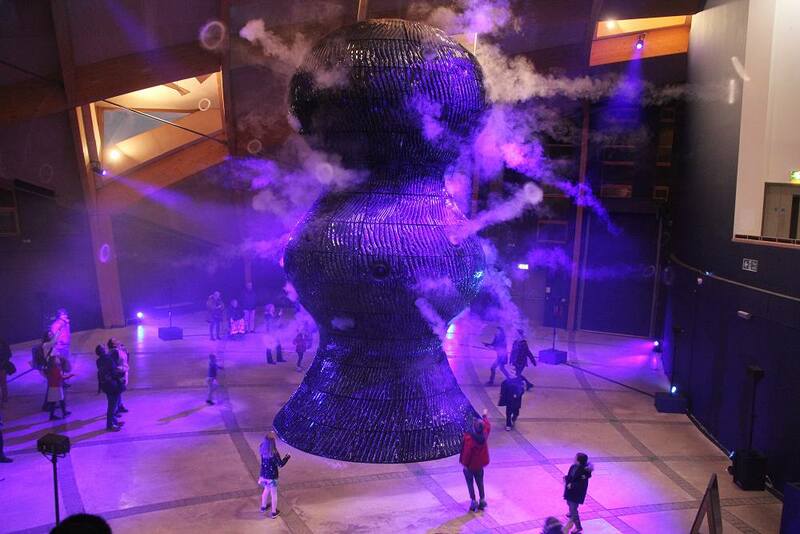 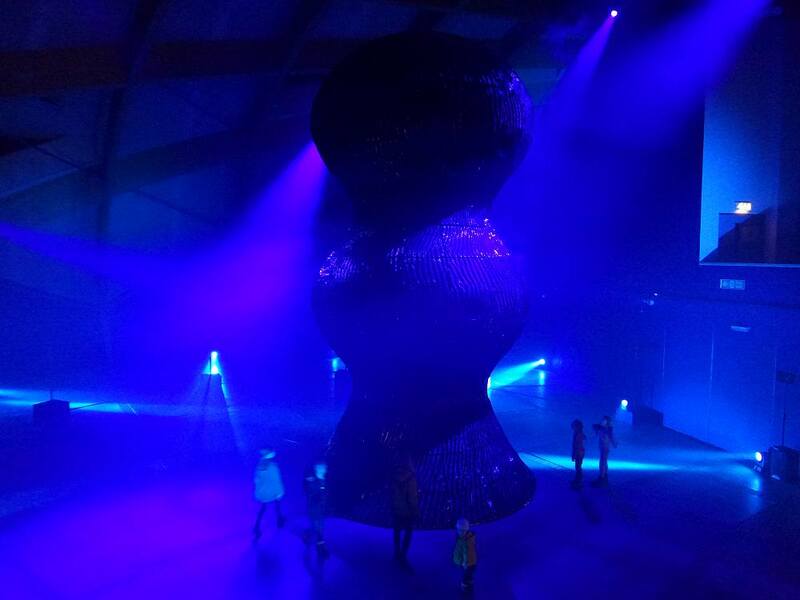 25/01/19 There were thought provoking ideas from Wolfgang Buttress who designed 'Reverie' a multi-sensory artwork exhibit in the Core. 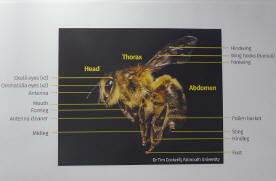 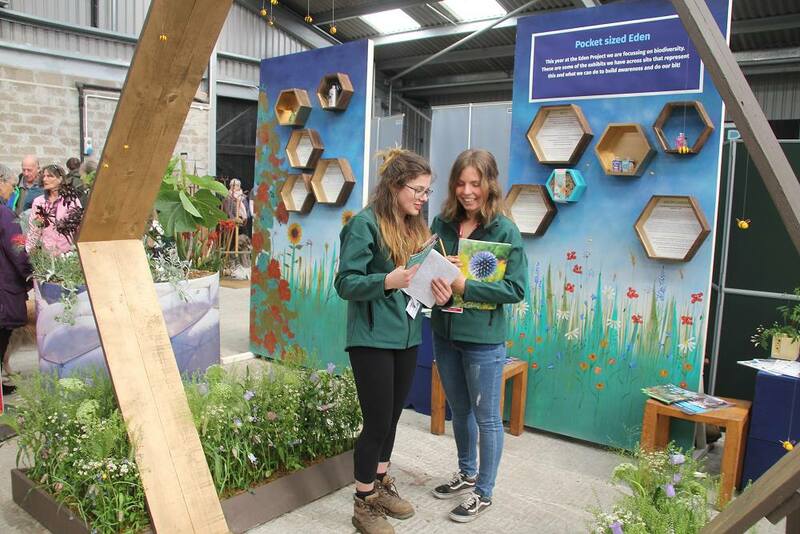 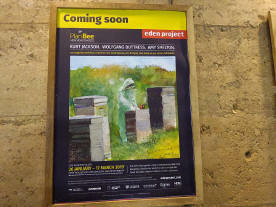 25/01/19 Learn a lot about bees and their importance to us all, Plan-Bee in the Core at Eden. 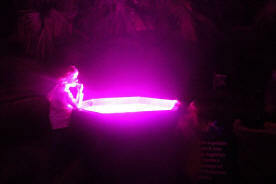 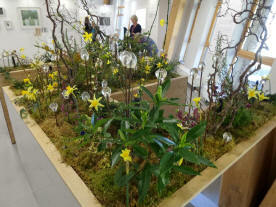 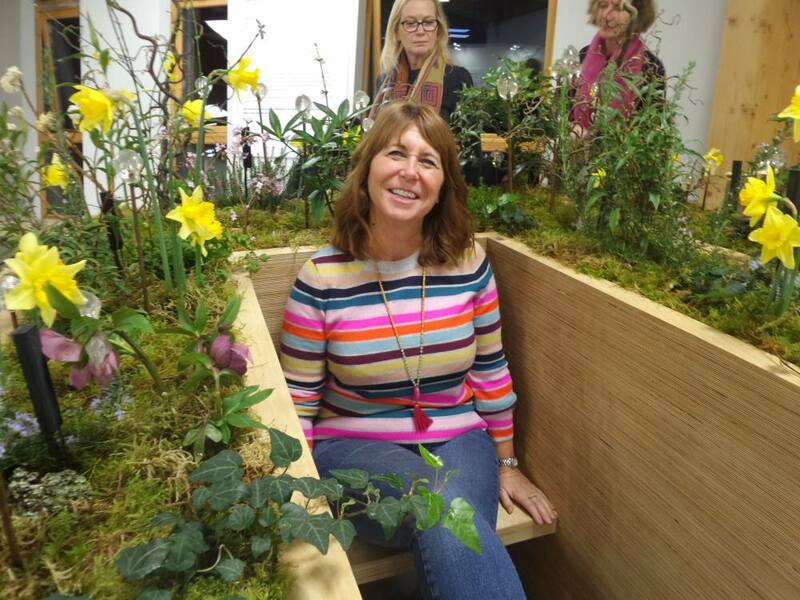 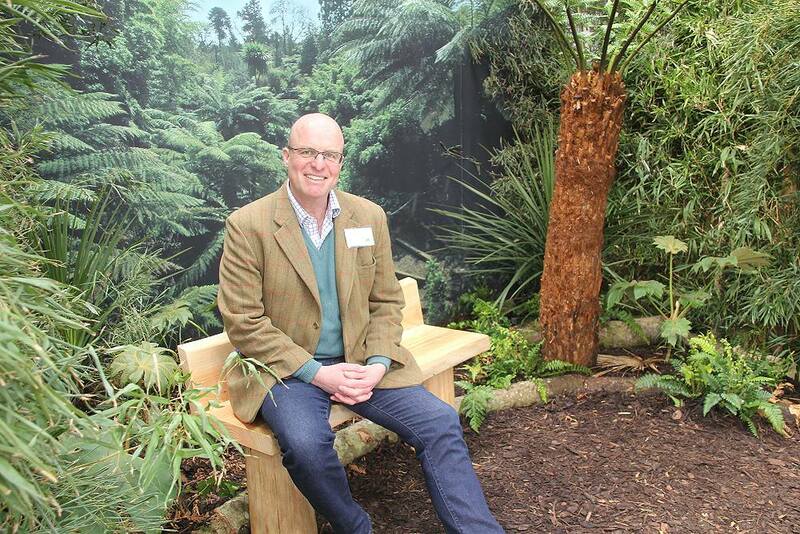 Gaynor sitting it the Reverie exhibit, the birds, bees and fragrance of the surrounding plants and flowers come and try it for yourself. 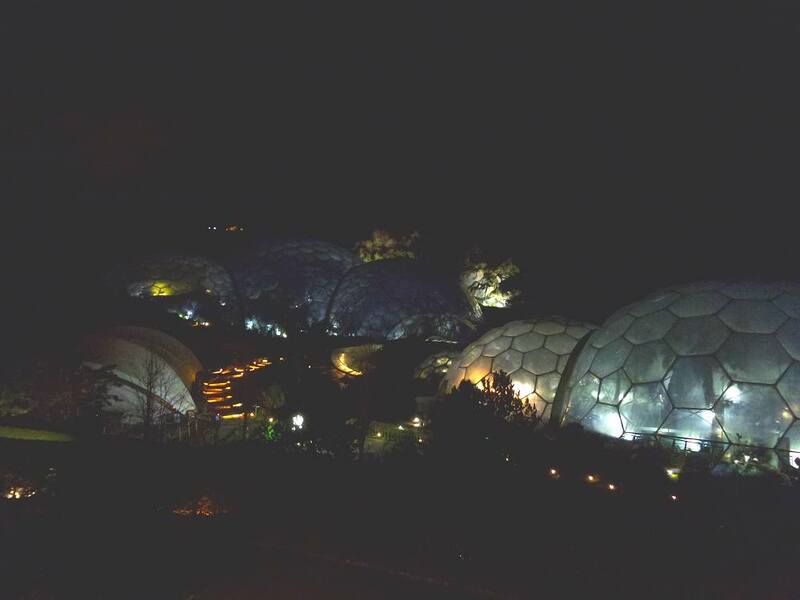 28/12/18 Eden in the evening of the 28th December, Shadows and Light. 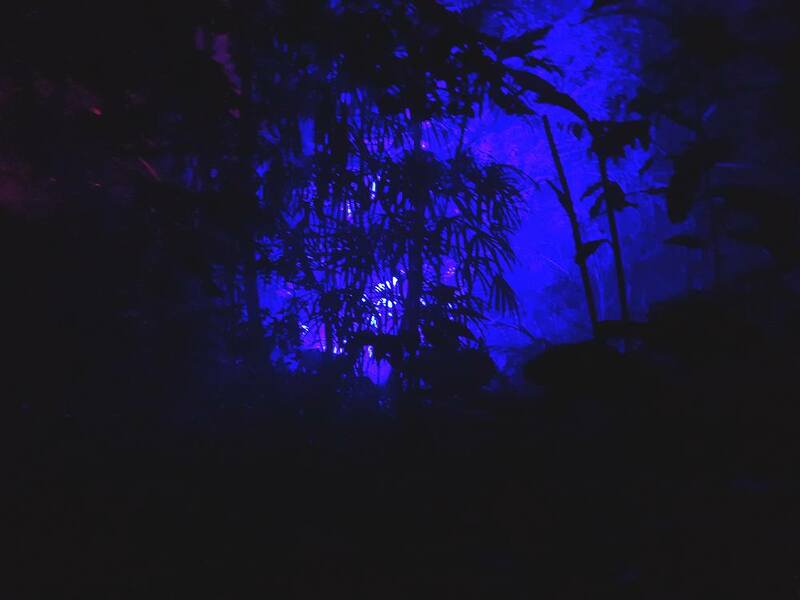 28/12/18 Rainforest and the wishing well where you can cast a wish with a pebble. 28/12/18 View from the bridge. 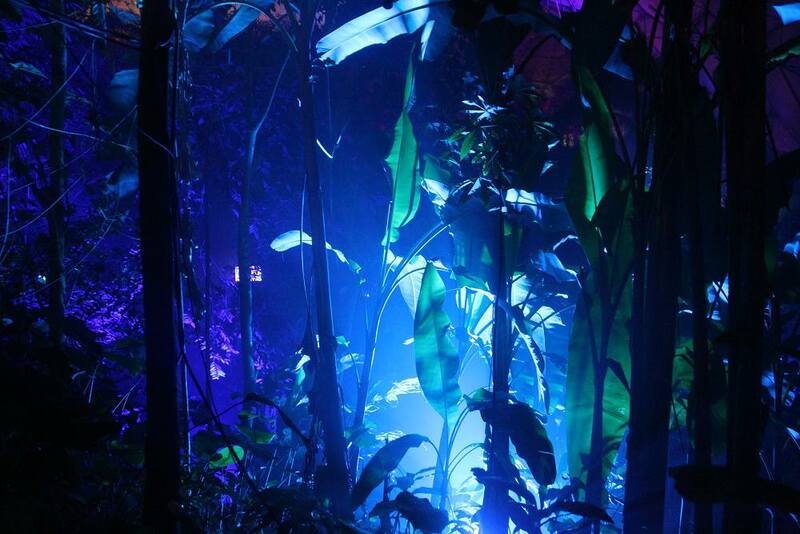 Malaysian house where stories of fairies are told this is also the home of a real life fairy flying in a jar. 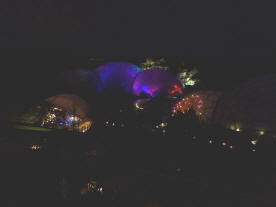 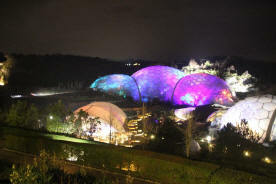 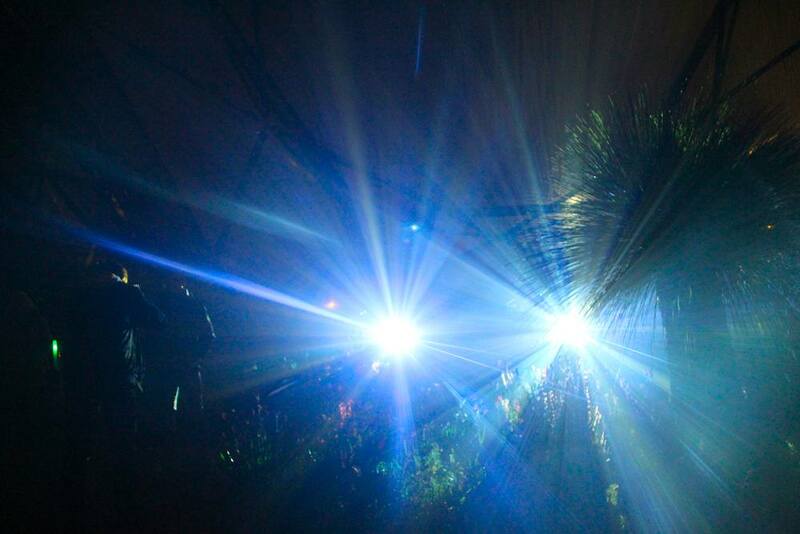 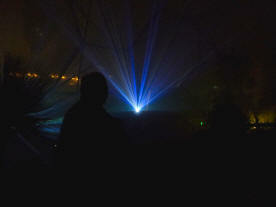 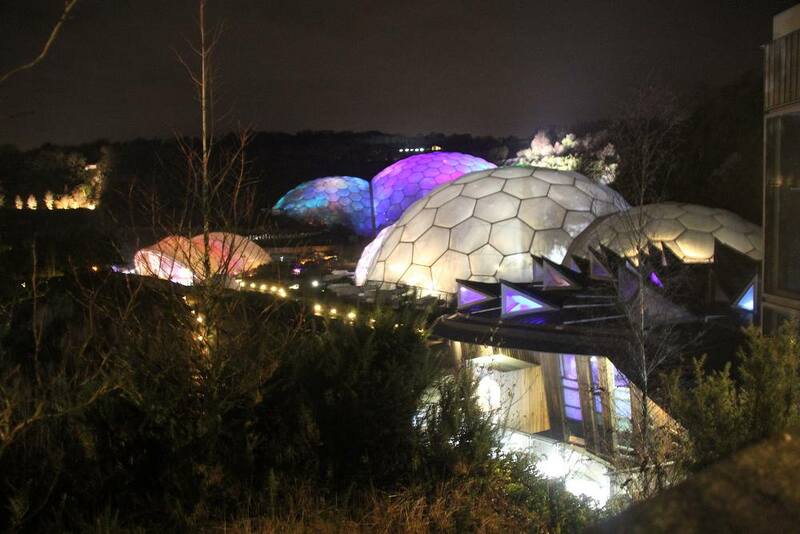 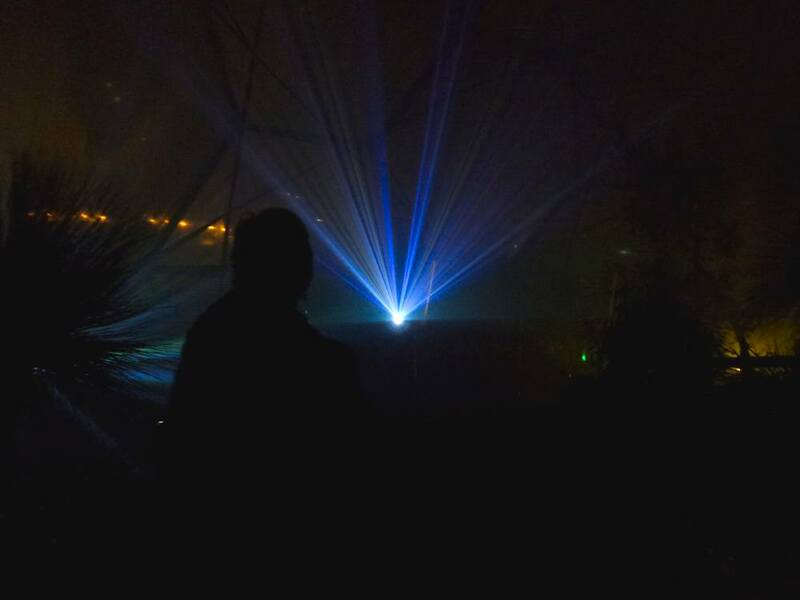 28/12/18 Laser projections on the Biome roof and projected beams on light in the Med Biome. 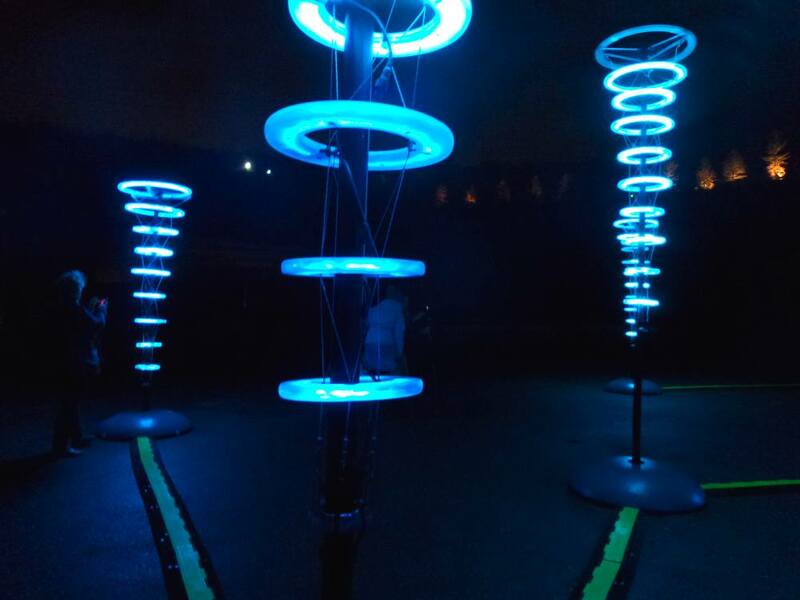 28/12/18 In the Core Infinity blue has 10 channel surround sound and smoke rings. 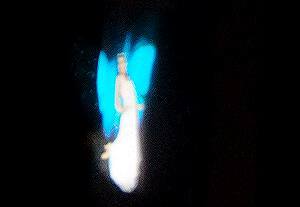 Photographing a flying fairy is hard to do, just one quick captured shot. 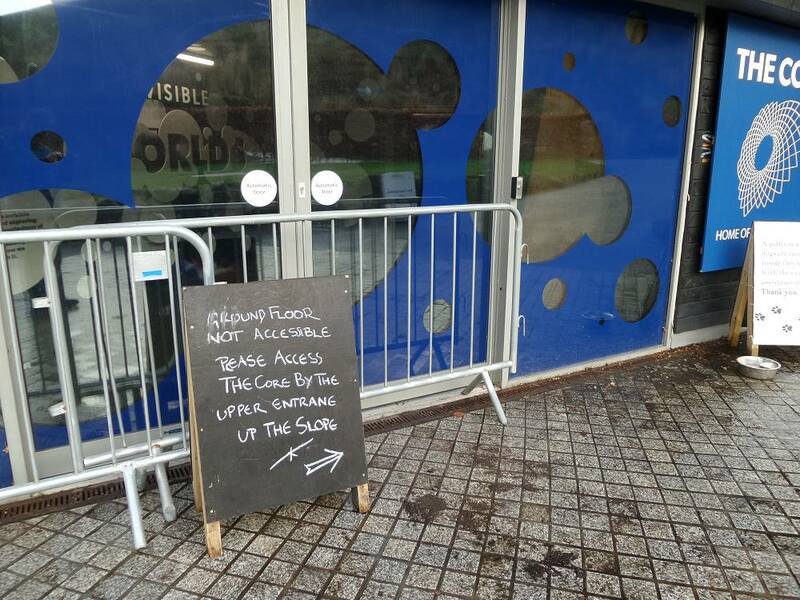 16/12/18 The last spot to be cleaned up is the floor of the Core building fully open by 5.00pm today. 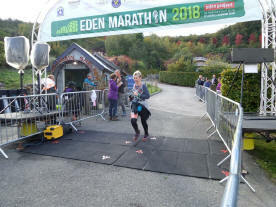 16/12/18 Eden can weather most things with the help of the Eden Team of helpers. 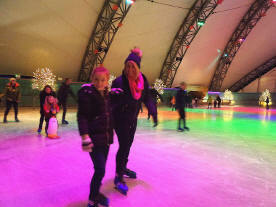 23/11/18 The Ice Rink continues the Shadows and Light theme. Musical sculptures next to the apple orchard change colour and sound when touched. 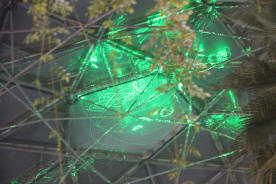 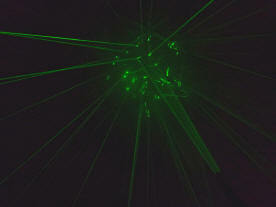 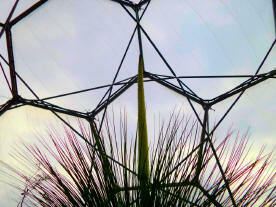 23/11/18 Beams from the laser forest play patterns on the Med Biome roof. 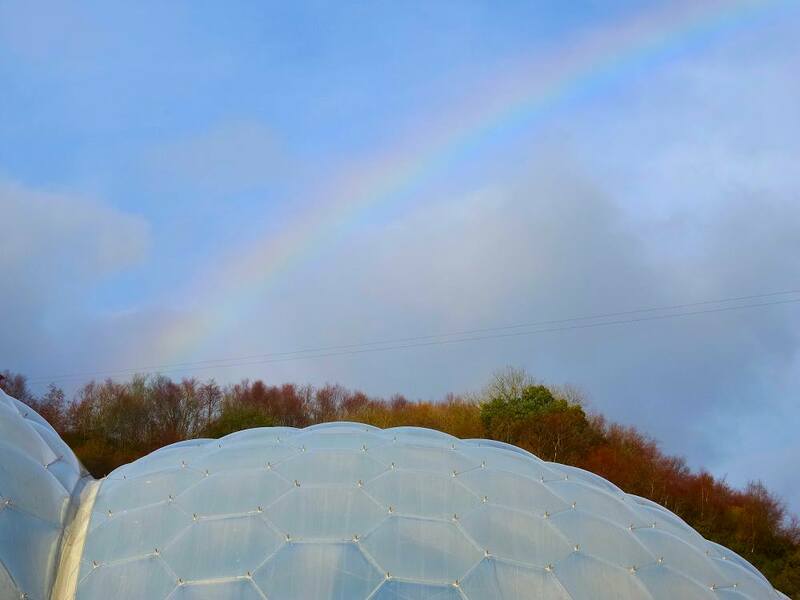 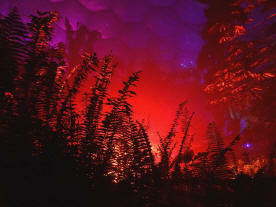 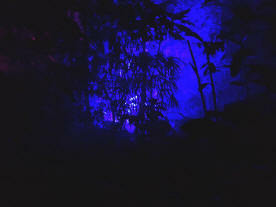 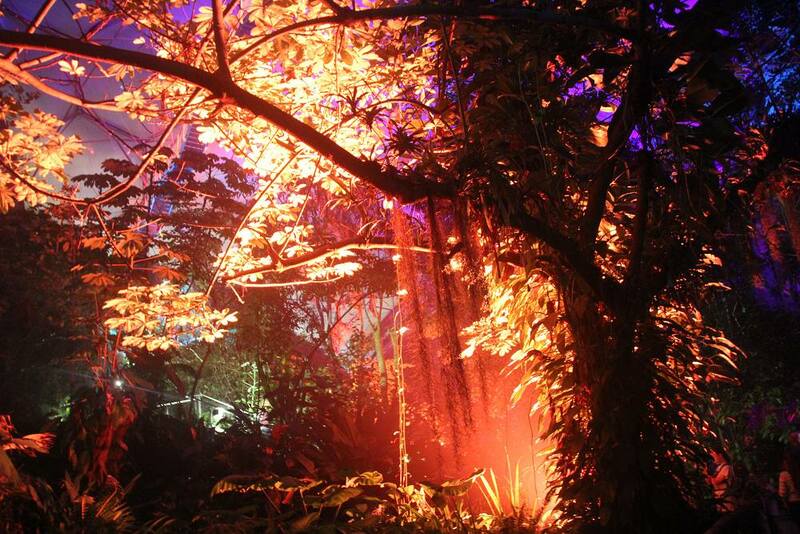 23/11/18 Patches of intense colour in the Rainforest Biome illuminate foliage. 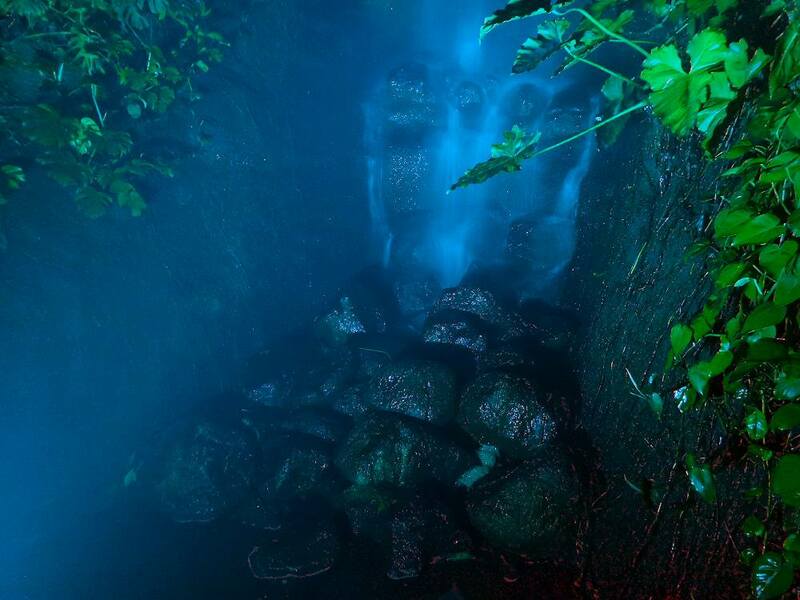 23/11/18 The eerily lit waterfall and some very shady areas mean you must mind your step as pathways can be wet and slippery. 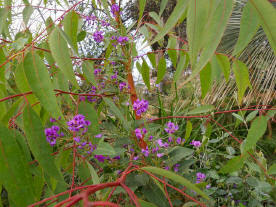 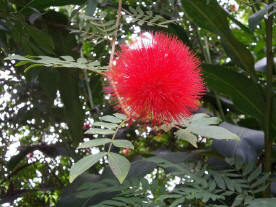 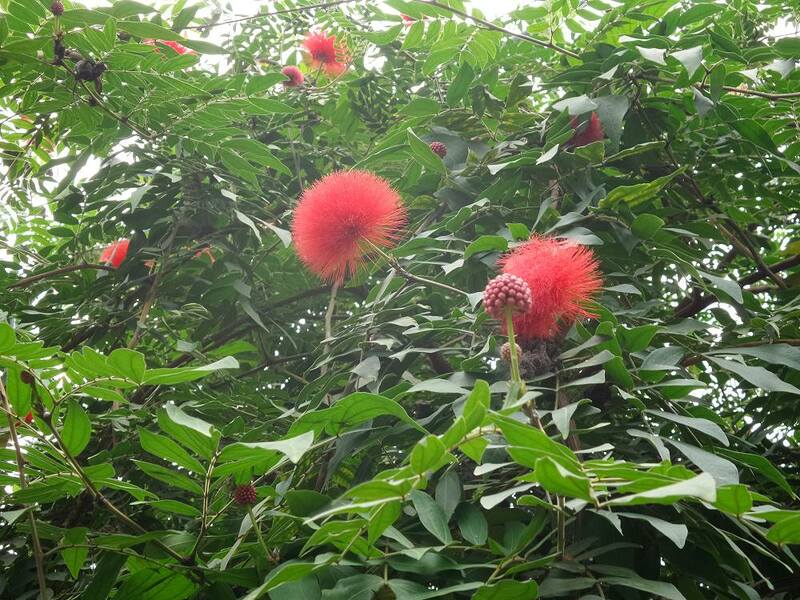 Do visit the Malaysian hut where a fairy lives. 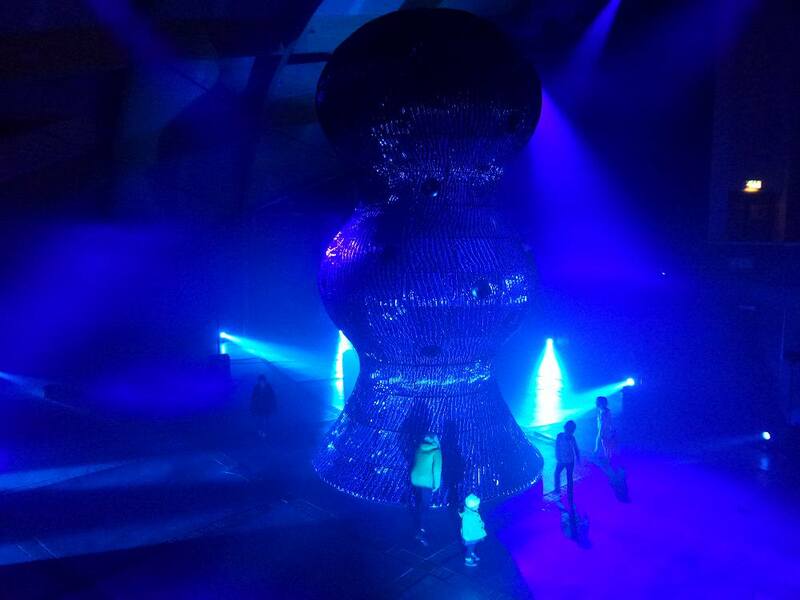 23/11/18 Blue infinity sound and light show in the Core. 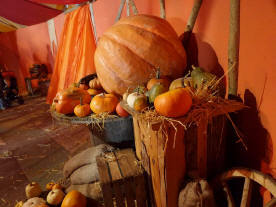 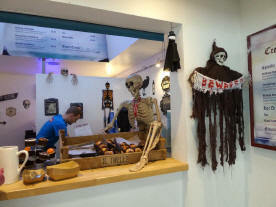 22/10/18 Halloweden is happening with lots going on all around the site. 22/10/18 Giant steaming caldron. 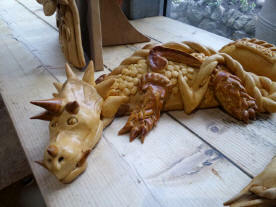 Mixing Mythical creature food. 22/10/18 Bone is selling cupcakes. Story telling by a mermaid. 14/10/18 A wet start for the marathon and a sunny finish. 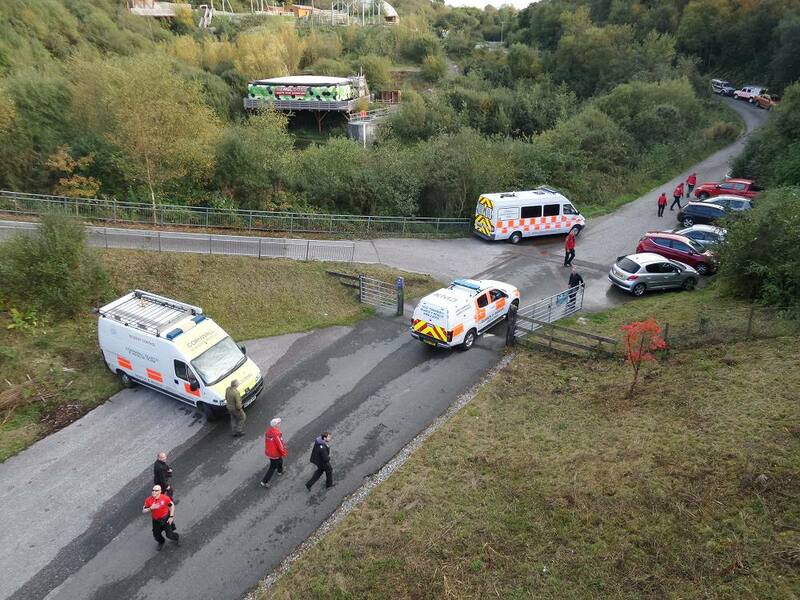 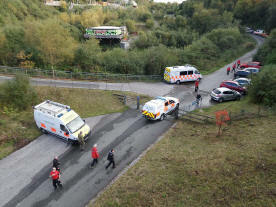 14/10/18 Rescue services were on hand if needed for the marathon. 14/10/18 The orchid house in the Rainforest Biome.